Mike hasn't followed a typical path into the industry. He actually worked in the RAF for 26 years, and with all the different postings came many different house moves for him and his family. Deciding to settle in one place they selected a location (based in the middle of where possible future postings could potentially be), bought a plot of land and built their own home. Mike often found himself propping up the bar in the Officers' Mess answering questions about how to build your own home. 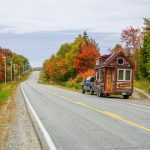 When he came out of the Services in 2005, he realised that what he would really like to do was get more people interested in building their own homes, and at that point decided to make a business from it. They bought the land for their self build in 1999, got planning permission in 2000 and in 2002 were able to move in. Doing the build in parallel with the first episodes of Grand Designs often left them able to empathise with the self-builders, pick up a few tips or wonder why they were doing things a certain way. 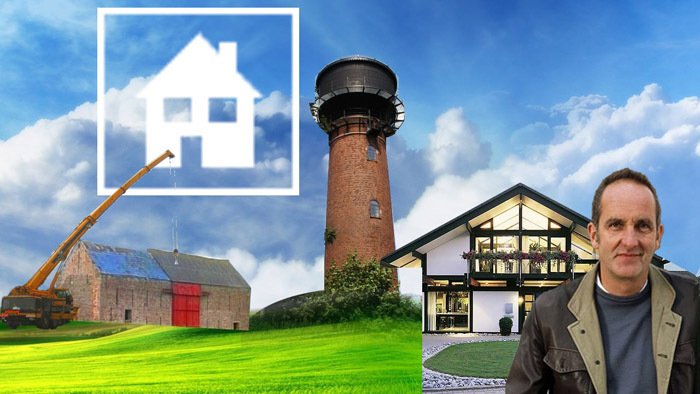 Mike credits Grand Designs for redefining the scope of self build, making people realise that it doesn't have to just be for the very wealthy. Although he does concede that the TV programme “Sensible Couple with Reasonable Budget Build Modest House On-time and On-budget with a Competent Builder” is never going to get commissioned! That is, what it is built from and held up by. “And the confusing bit with a build system is that just because what’s on the outside of a house looks like maybe a brick, it doesn’t necessarily mean that it’s a house made out of bricks structurally.” Most, but not all, houses in the UK are built with a twin-leaf construction, where the inner leaf does the supporting work and the outer leaf makes it look pretty, with timber, brick, tiles etc. As well as holding up the structure of the house and being the main material used in the construction, it is what the services run through and are bolted to. As such, getting the right system for you is going to be an important decision to make, and generally it's entirely your choice. Because the building system you use doesn't usually dictate the external appearance, the planners aren't interested. So as long as Building Control are happy that it will comply with regulations then you are free to choose. Mike explains that people will always ask him which system is the most cost effective, but drawing a price comparison is actually quite difficult. He does say that there is a fairly narrow band of cost when it comes to the different build systems, and what influences the price most is actually the detailing and the finishes that go on inside. What really hikes the price is when you trade in the materials for speed of construction, such as with houses that are pre-fabricated and then erected on site in a matter of days. Mortgage companies for example will typically ask whether the house you're buying is of masonry construction with a tiled roof. They like it because it has substance to it, it's a safe thing to invest against, and will be appealing to potential future purchasers. If you're working to a modest budget, then using brick and block is generally at the lower end of the cost spectrum, so is likely to be a baseline for constructing your own home. They are quick and easy to build, relatively cheap to buy, and are easy to handle and cut up. They tick the boxes for mortgage companies, insurers and builders. Other positives are the strength they provide, that you can put beam and block floors in. The thermal mass provides a stable temperature throughout the house, and the masonry affords you flexibility of design. You can build just about anything you want in masonry, and combined with steels can give you large, open spans. Traditional breeze blocks were made out of cement covered cinder. Modern blocks are lightweight and made from pulverised fuel ash, so the detritus from a coal-fired power station mixed with resin and turned into a block. The aerated middle traps air and provides insulation, and also makes them lighter. In the UK there is currently a shortage as there aren't many coal-fired power stations remaining, so the raw materials have to be imported. 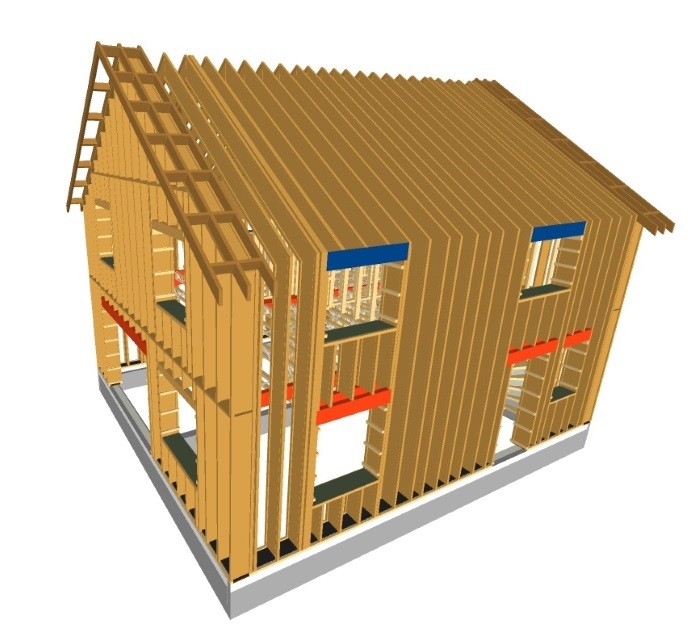 Timber frame basically replaces that breeze block element with a structural framework of timber. It is associated with being environmentally friendly, high quality, accurate off-site manufacture. It is efficient, effective and with the speed of construction it makes for an attractive proposition. Whereas masonry has high embodied carbon in the manufacture, timber frame is carbon neutral in that you plant a tree, chop it down and plant another tree. 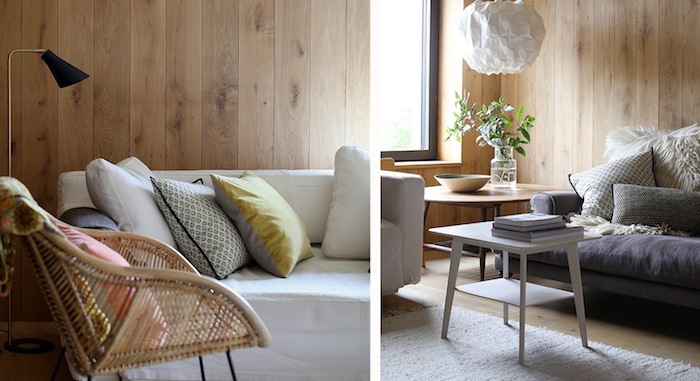 Timber is also a flexible material in that you can build the walls, ceilings, floors, windows, doors, stairs etc from it. 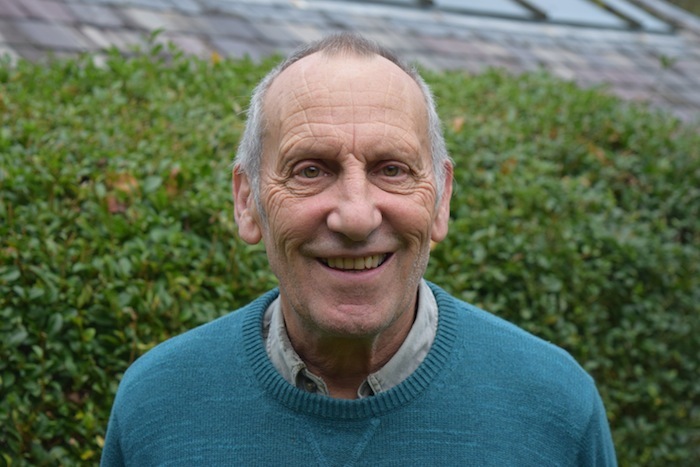 Mike is keen to point out to people who worry that building a timber frame system might suffer from problems such as termites or rot, that probably around 65% of what we would call a masonry house is actually made from timber anyway, being the roof trusses, stairs, skirtings and so on. Mike concedes that, if pressed, he would say timber frame is probably the cheapest way of building the structure of the house. But that would only be if you were doing the most economical and basic timber frame with no frills, and without doing anything to attenuate the acoustics. Most self-builders would want to go above and beyond building regulations and put in good sound-deadening insulation to minimise noise transmitting through the house. When taking into account the extra money on the sound-proofing, you are probably then looking at a more expensive path than masonry. The thing to remember with timber frame is that it will last well as long as the moisture content in the structure is kept to a minimum, and allowed to escape so that it doesn't build up. On the inside of the house behind the plasterboard there will be a non-breathable, vapour control layer. This stops any moisture occurring inside the property from getting into the structure. 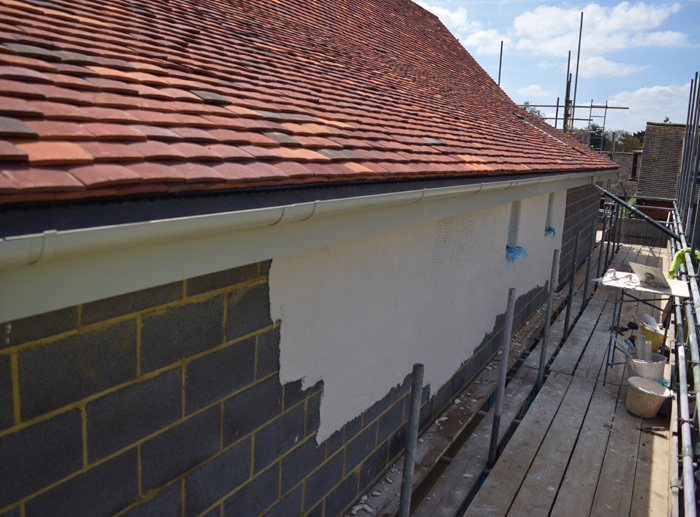 On the external wall, underneath the render or brickwork, is a breathable membrane, allowing any moisture that does get inside to find a way out. These are a type of fire retardant polystyrene foam block. They fit together to create a solid outer wall and a solid inner wall, with the gap in the middle being filled with poured concrete. When the concrete sets and cures, you end up with a waterproof, insulated, monolithic wall which is highly insulated, highly airtight and with the strength and density of a masonry wall. This makes it popular for people building to the Passivhaus standard. It also benefits from being very quick to construct, you don't need to be too skilled to put it together, and being waterproof is a good choice for flood-prone areas. Some people aren't keen on this method because of the perceived embodied carbon being quite high. In reality, Mike says, they are mostly made of air with very little actual structure to them. There are other alternatives, such as Durisol blocks which are much the same in principle but use chopped up timber instead of the polystyrene foam as the insulant. 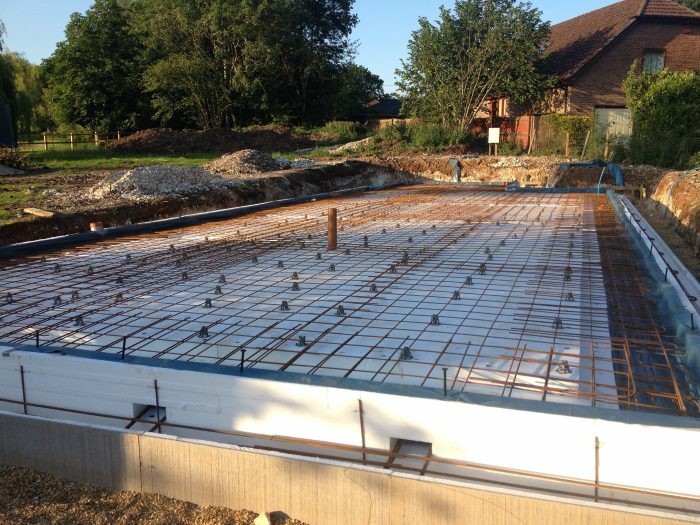 Although there is a lot of concrete used, Mike suggests thinking about the amount of energy that the structure saves straight away with its high levels of airtightness and thermal performance. It is worth thinking about future use, as putting in more doors or windows for example at a later date is going to be very difficult. Also perhaps a marine ply or a Thermacell type board is advisable for indoors when there might be considerable weight such as cupboards or TVs to be hung from them. These are manufactured off-site and built of two oriented strand board (OSB) sheets that are filled with expanded urethane insulation foam. The panels can be cut, shaped and fixed to other panels to make a complete housing structure. They tend to be accurate, airtight, watertight and put up on site very quickly. 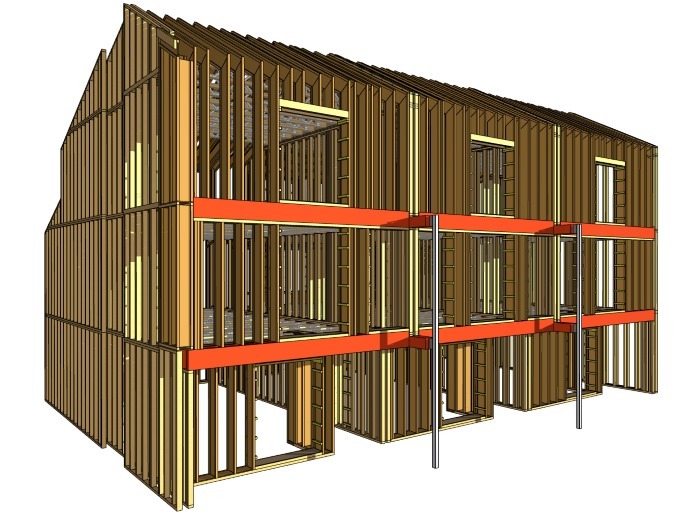 If you were thinking of using this building method, you would take your designs to a SIPs company whose CAD systems would create the plans to feed into the machines that produce the panels to millimetre perfection. These panels work with the other panels around them, and can even have steelwork in there for covering large spans, to give the structural integrity to the house. Mike explains how the success of a masonry constructed home is very dependent on the quality and skill of the bricklayer. 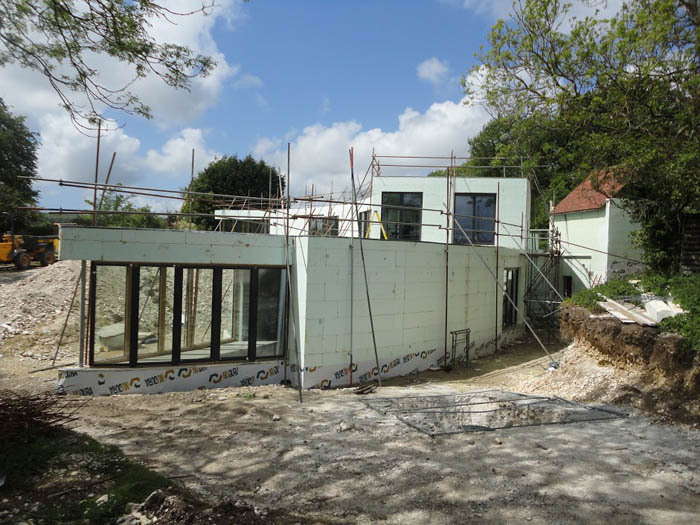 With ICF it's harder to go wrong, as the panels are designed to fit together at 90 degrees, meaning the walls are going to be straight and it will be easier for fitting out afterwards. One drawback is that you can't later decide to move things about or add doors or windows because the structural integrity will be compromised. In terms of cost, Mike says ICF and SIPs used to have roughly a 10% premium on them because there were new factories to be paid for, but as they are becoming more common-place the prices are more competitive. Some manufacturers are even assuring that they can produce a house for about the same cost as brick and block. 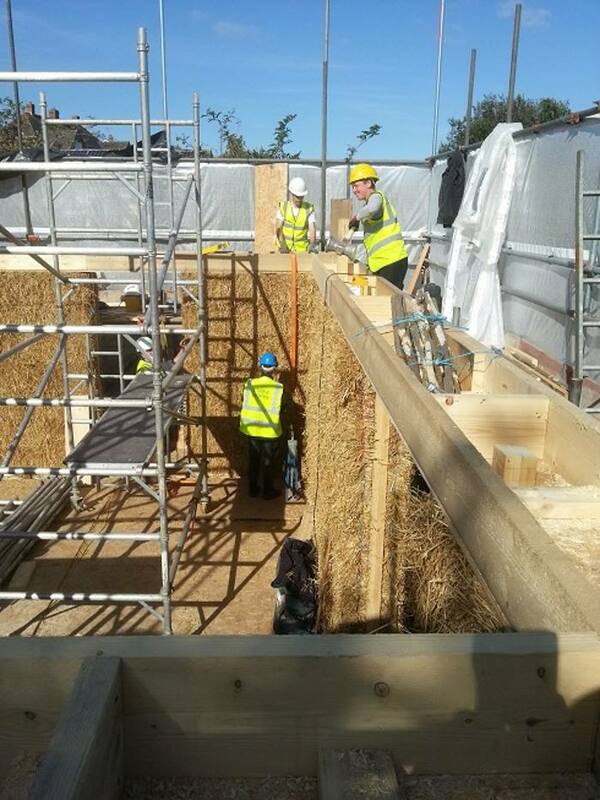 Previously seen as something you wouldn't consider for mainstream building, nowadays the increased focus on energy efficiency, natural materials and environmentally conscious building has given straw a greater appeal. Mike explains that structural straw bales, as opposed to ones you would buy direct from a farmer, are processed and compacted to form dense blocks. Straw bales do mean that you end up with thick walls, but for some people that is a positive feature. The deep window and door reveals combined with the lime plaster make it look and feel like a solid house with a natural, rustic feel. Mike concedes that some mainstream lenders and insurance companies might not be keen to deal with these, but others like the Ecology Building Society see the benefits and will lend against them. Most of these factories tend to be in continental Europe where the prefabricated kit is made and then brought to your plot to be assembled. This method probably won't suit those on a smaller budget but for projects on a grander scale, or at least a grander budget, they will be rewarded with superb, quality finishes. Again, this is a system where decisions need to be made up front as any changes later are going to be extremely costly. 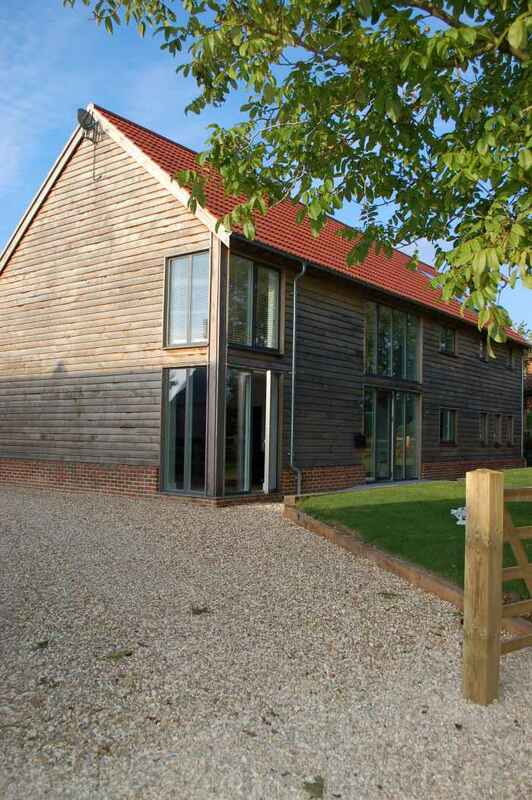 A steel frame self build house wouldn't be commonplace in the UK. They tend to be more popular in warmer climates. If you have a steel structured house and are trying to stop cold-bridging then you're starting from a losing position. However, recent changes in planning regulations, where permitted development allows people to take farm buildings and convert them into residential dwellings with less of the hassle, has made extensions and renovations of steel-framed farm buildings more common. The masonry industry has recognised some of the problems of building with blocks (weather dependent, speed of construction, reliant on quality of the builder) and come up with a variation on the masonry theme called Thin Join. They use over-size versions of the cinder blocks and instead of using a 10mm sand and cement mortar base, they are held together with a type of glue adhesive. “But by taking out things like the mortar bed, you’re taking out two things. One is a passage for air to get through, and when air can get through, noise can get through. 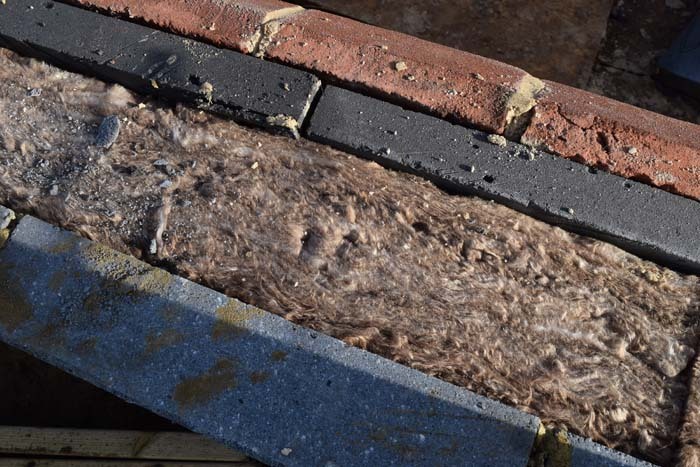 So, by taking that mortar bed out, you’re putting better airtightness into it, putting more insulation into the wall and you’re taking away some of the need for skilled construction to put it together”. It's also a cleaner system, using a bucket of adhesive instead of having piles of sand and cement spreading around the site. “So, if low cost is your priority then you need to be looking at the traditional masonry or the timber frame setup. If you’ve got family and you want a bit of peace and quiet, you want some separation of noise, acoustic attenuation, then the masonry end is probably the way you want to be looking at. If you want energy efficient, you’re environmentally aware, then you want high efficiency and low running costs. Then timber frame is probably where I’d be looking at. That’s at the lower end of the spectrum on there. And as you go up the performance scale, that’s when I’d start looking at the ICFs and the SIPs panels. They might cost you a little bit more to build but again, there’s a trade-off there against the cost of the materials and you need less labour to put it all together. Download a transcript of the interview with Mike Hardwick. A decorator by trade, Martin spent time working in the family business specialising in handprinted papers and on traditional buildings. That led him towards lime plaster with a particular interest in some of the old, traditional mixes that have been lost. He has been running his Best of Lime company since 2014. Lime is burnt calcium carbonate. Chalk, limestone, shells can all be fired in a kiln to make quicklime which you then slake (combine with water) and use as a binder. France has a long tradition of manufacture, with the Bordeaux region being a big producer, and in the UK large quantities are made mostly in the Buxton area, but also in Lincolnshire which produces more of a chalk lime. Martin believes that lime has a number of advantages over more modern materials. For a start, cement is fired at 1300 degrees, whereas lime is between 900 and 1000 degrees, making it a more sustainable product. Aesthetically it is arguably more visually attractive, it is more flexible and is more breathable allowing free transport of moisture through the building, creating a healthier environment. Lime has been used as a binder for several thousand years, albeit with different tweaks and additives to make it perform differently. And while recipes from the 1830s that included bone ash, urine, beer and cheese in the mix have thankfully been superseded, animal hair, which acts as a reinforcement, continues to be popular! Horse hair is popular but cow hair is evenly more commonly used, particularly in the chalk plasters of East Anglia. A sand and lime mix on a green oak timber frame will crack and fail as the frame twists and shrinks, but a lime and chalk mix with lots of cow hair gives a mix that has plenty of flexibility. It can also be applied very thickly, and stands up to the rigour of both hot and cold temperatures. Some plasterers see it as a dark art! Martin's aim at Best of Lime is to bring an ancient material into the modern world, and make it perform as well as, if not better than, modern materials. For this to happen it also needs to be easy to mix and apply. All their plasters can be mixed using an ordinary plasterer's paddle drill or standard bell mixer. 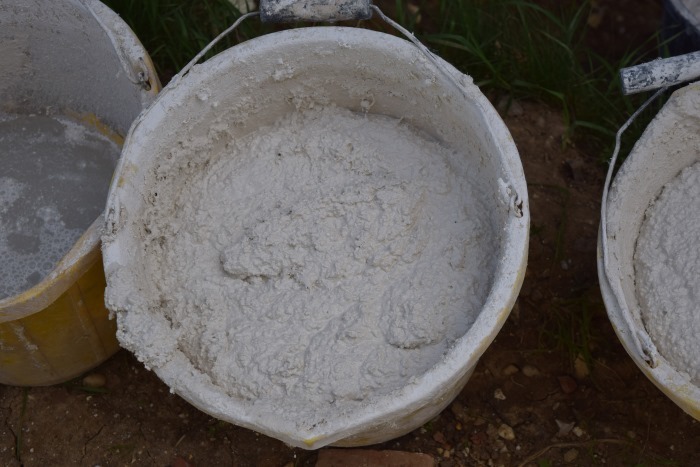 The dry mix is combined with water and a separate bag of fibre reinforcement. The fibre they use is 3 denier, which equates to around 280 miles of fibre per 25kg bag. 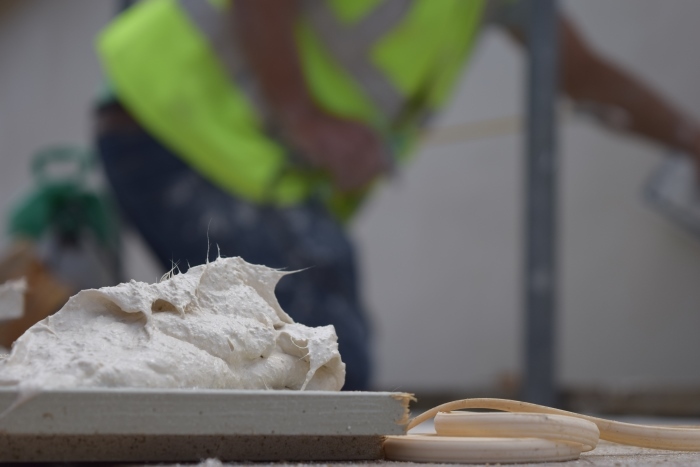 Having that much fibre is something that couldn't be achieved with traditional methods such as animal hair or screeding fibres which are much thicker. It is mixed into the top coat where, thanks to it being so fine, it isn't seen. Lime lends itself to rounded corners because it's a softer material, and the slower setting means there's time to mould it into the desired shape. Keep an eye on the weather forecast! With proper planning, even if there is inclement weather the plasterer will hopefully have jobs still to finish off inside the building. While the autumn is a busy period for getting work done before the weather turns too cold and wet, modern work programmes don't tend to allow for downing tools until the Spring. It might be that a ‘tin hat' approach to covering the building is required to keep the rain off. 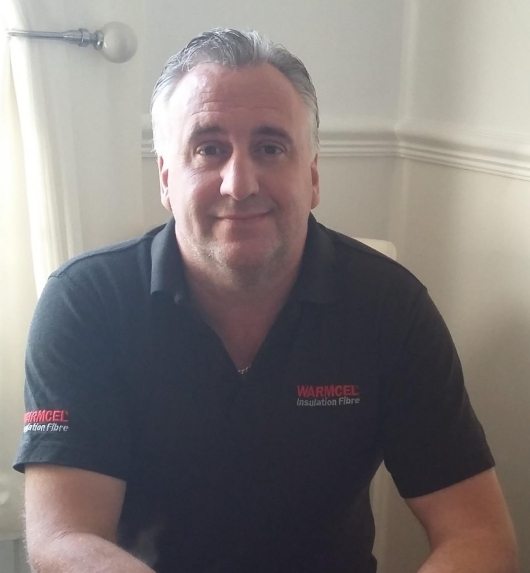 Martin says that his products stand up to being applied in extreme high temperatures, but that it's usually the plasterers who will give up in the heat! The colour of lime is mostly dependent on the aggregate that it is being used with, and this can vary regionally. A mix using a very white sand will make a very light finish, whereas towards Norfolk there is a tendency for a more brown effect. Martin uses a lot of chalk which makes a neutral, creamy off-white plaster. For different colours, aside from decorating it afterwards, tints can be used although this isn't something Martin recommends as there's greater potential for problems. Any slight change in aggregate colour for example might show on the finished product. 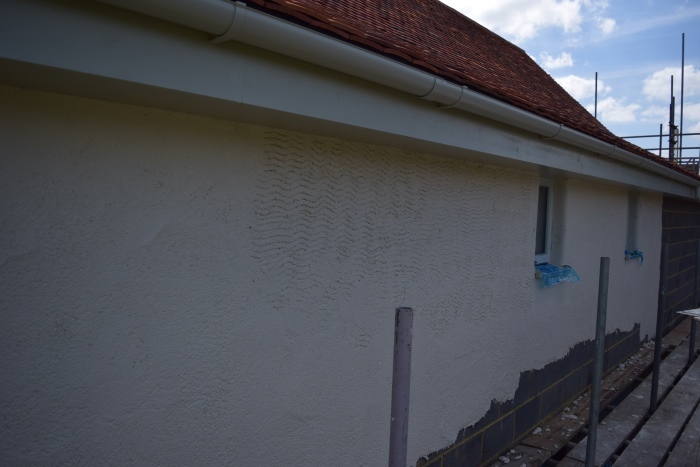 For a traditional finish, a limewash can be used, either with or without added pigment. 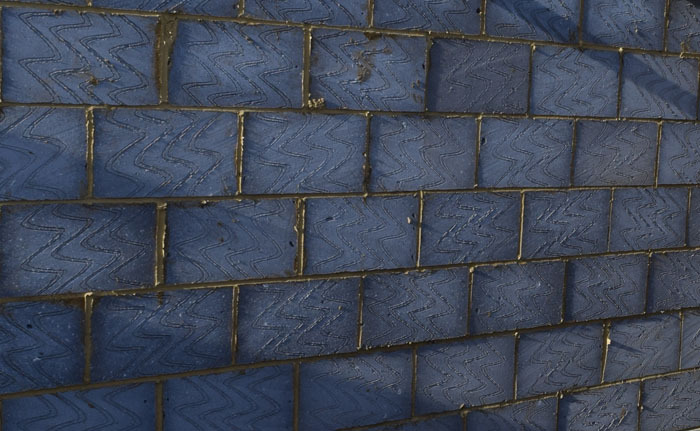 There are also modern silicate paints which look and perform more like a masonry paint, but have the important characteristic of being breathable. 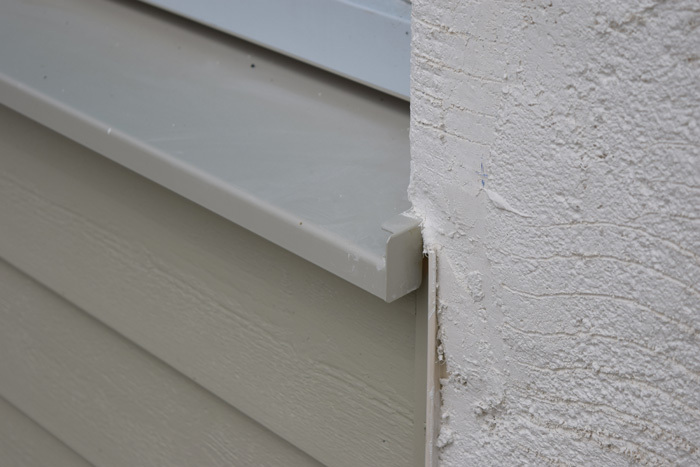 In terms of maintaining the finish, the durability will be dependent on exposure levels and detailing around the building. The limewash will gradually wear away so may need to have another couple of coats within four or five years. In more sheltered areas it may last much longer. 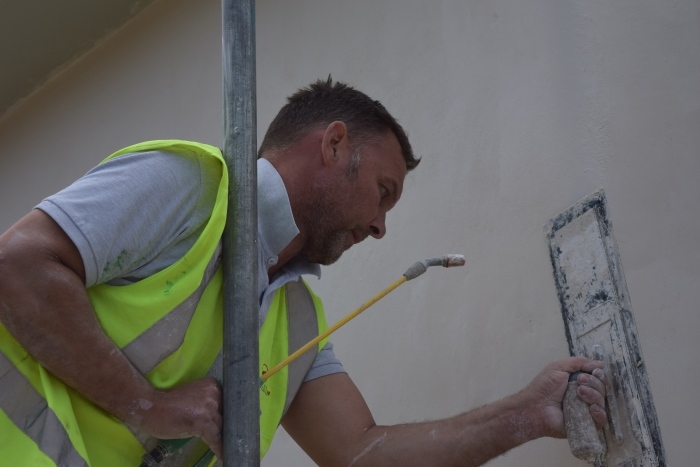 There are also clear, breathable coatings that can be applied if there is a requirement to maintain the natural colour of the plaster, which help with water shedding and keeping the dirt and organic growth at bay. However, one of the advantages they have is that work can generally be done in two coats. 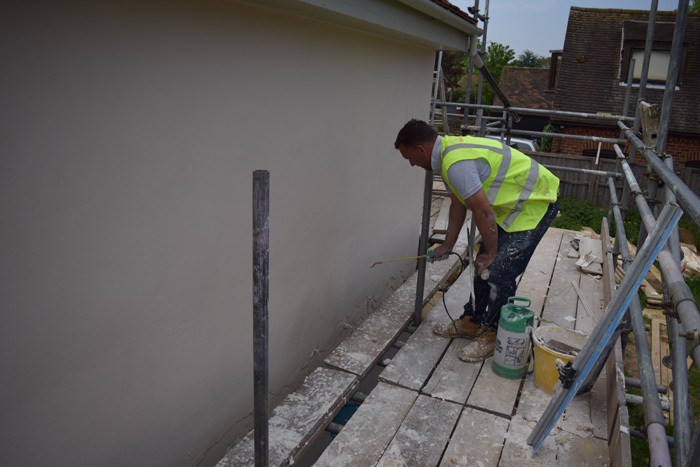 For sand and cement, if the traditional look of rounded corners is required they tend to use three coats, so what you lose in money on the material, you gain with the labour saving. Download a transcript of the interview with Martin Brown. 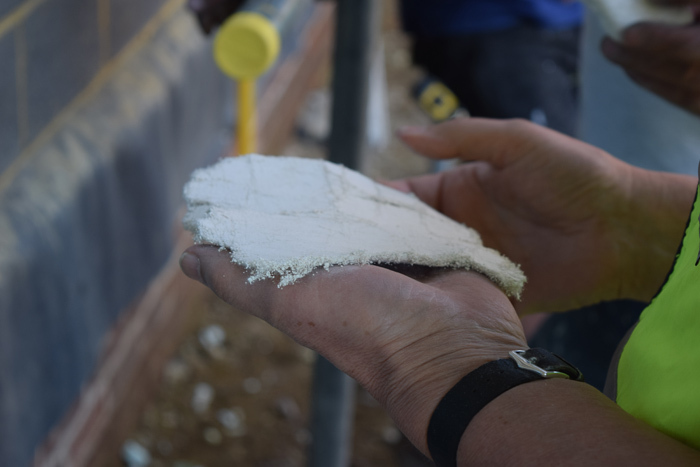 Gordon Lewis explains what cellulose insulation is, how it's applied and why self-builders can benefit from choosing it. 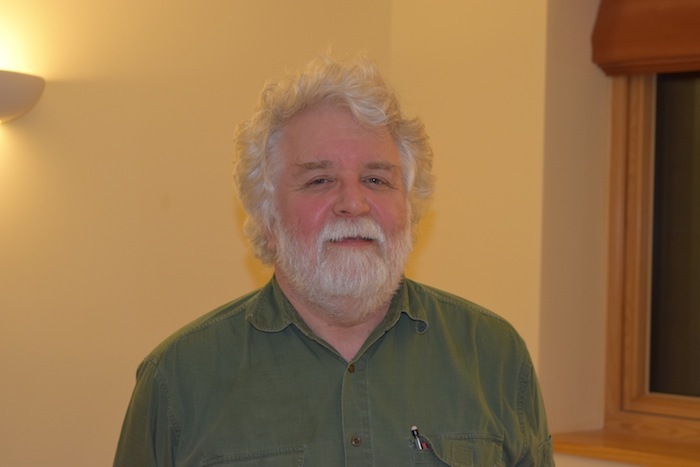 Gordon Lewis has been involved with cellulose insulation for over 26 years. 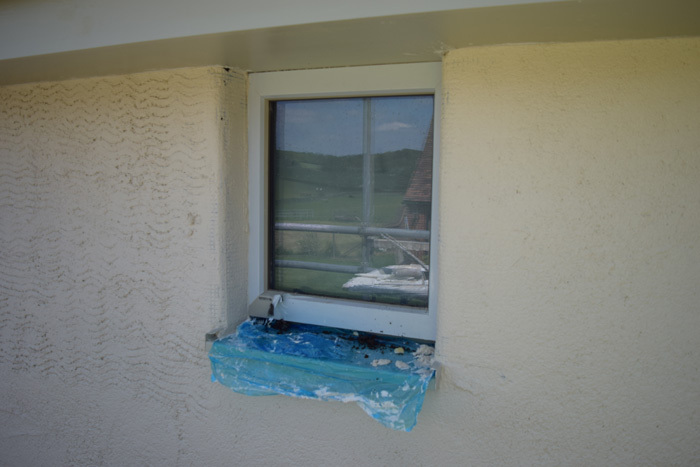 He mainly works installing Warmcel insulation into timber-framed properties. Cellulose became known as an insulation product in the early 1980s. Made from recycled newspaper, it is a highly sustainable product. The newspaper is milled down to make the fibres much smaller, then fire-retardants are added. The growth in information technology has meant a decline in the availability of newspaper for recycling. Along with overhead costs, this has resulted in some factories closing. For example, Gordon’s former employer, Excel, the sole UK manufacturer of cellulose insulation, closed down in 2014. Sources of newspaper and cellulose insulation do still exist, however. There is one company in Ireland and there are many more manufacturers of cellulose on the continent. Gordon uses a brand called Warmcel, which is made by CIUR in the Czech Republic and shipped to the UK. 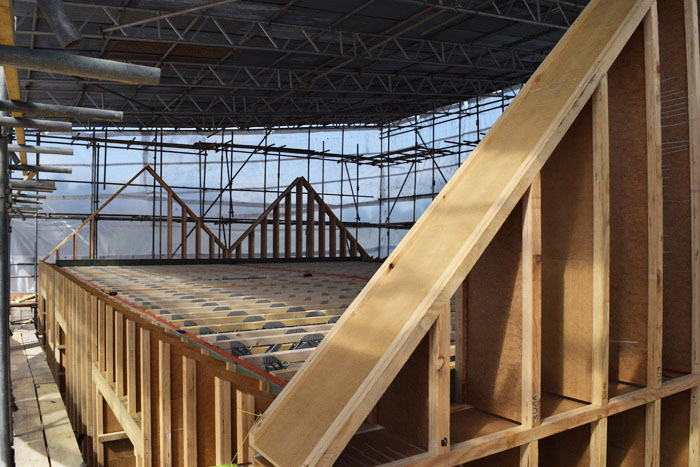 Cellulose can be used for other build methods, but is ideally suited to timber frame buildings. Because it’s made from paper, it must be fitted in a way that avoids contact with any damp surfaces. There are a number of different materials that can make the “sandwich” containing the insulation; it might be rigid board on both sides, or one side could be a membrane. In order to calculate cost and how much product is needed, Gordon considers where the cellulose insulation’s going, the depth of the space to be filled and the density required. Locations could include internal or external walls, floors, an attic space or a sloping ceiling. Gordon uses formulae to establish how much material is required for that particular build. 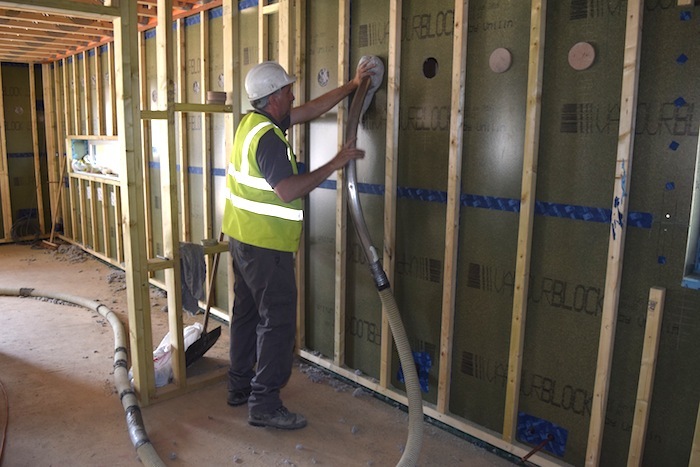 Generally, before any installation is carried out with cellulose, the building needs to be wind and watertight. Cellulose will dry up and cope with a certain amount of moisture, but not too much. For example a constant leak or rainwater continually getting in to the frame would cause problems. If the doors and windows are not in, those access areas can be masked off with polythene on both sides to stop rain being driven in. Gordon will look out for water or staining on boards from rainwater that may have dried up over a day or two. To inspect for damp before installing cellulose he might drill the wall and test by hand. 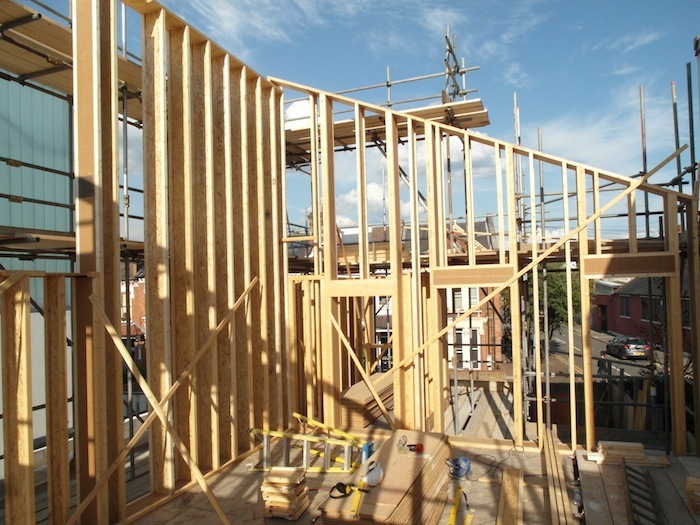 The cellulose needs to fill voids created by the timber frames and rigid boards, and there can be hundreds of them to find. Experience gives Gordon familiarity with typical frame kits so he knows the small gaps to watch out for, and how to access them. He can also identify them from the screw patterns, looking at the drawings, speaking to whoever fitted the boards, or even asking them to mark the boards showing whether or not there’s a gap. If there’s still any doubt, he may drill a small hole to check. Once a hole has been cut to access each void, and the insulation pumped in, the core is sealed back over the board. To make it 100% airtight, the tape must have no creases. On the job where Gordon and Ben met, the PH15 build had close to 500 holes cut and repaired. The airtightness test showed below 0.01 air changes an hour at 50 Pascal; one of the best results recorded. In Gordon’s experience, once the insulation’s in, it’s there for the lifetime of the building. He comments, “As long as the fabric and the structure of the building is sound, it’ll be there forever and a day.” He has had few subsequent issues, maybe three or four over 26 years. He believes those failures arose because people didn’t understand the building needed to be wind and watertight. 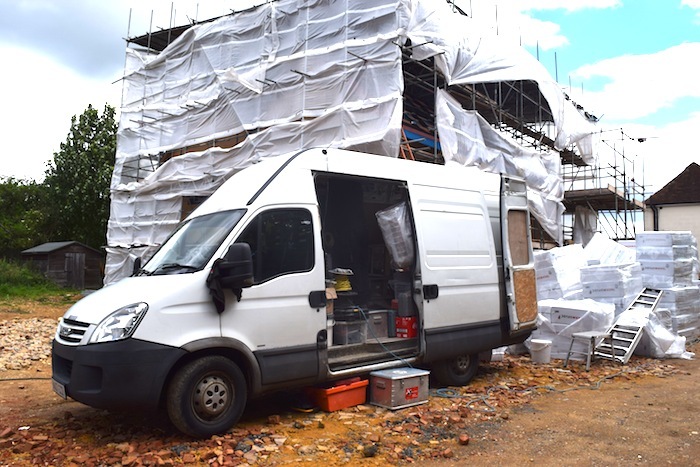 When he’s been on jobs where self-builders have helped, Gordon has supervised everything and made sure the equipment is set up right. 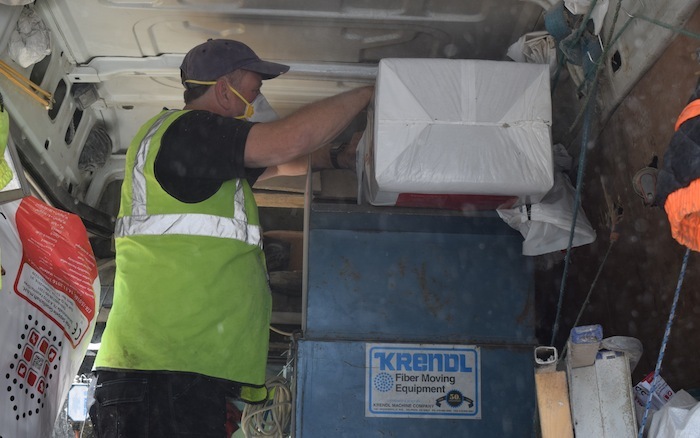 Gordon uses a Krendl machine that breaks up the fibre, and then blows it from an airlock through the hose to the delivery point. Knowing that each cavity is full enough is mostly down to experience, but there are tests to check the density and location. 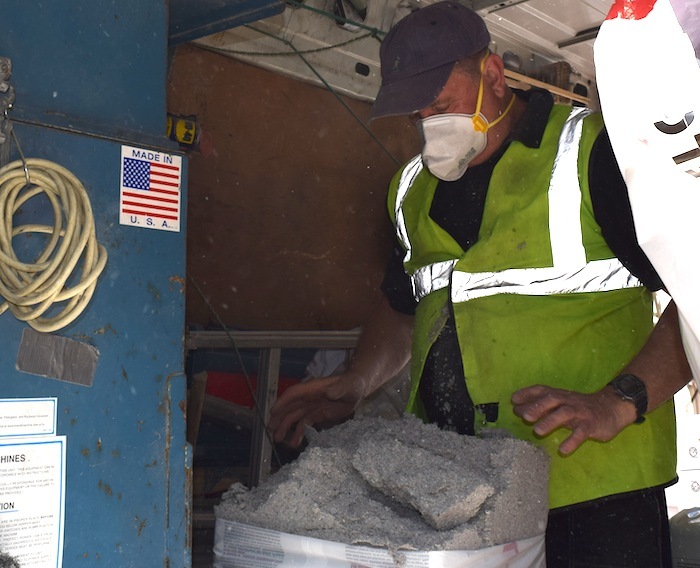 Gordon sees a growth in using cellulose insulation in line with a wider increase in green building techniques. More people are demanding greener products and want the benefits of Warmcel or another cellulose product. Ben Adam-Smith reflects on one aspect of his last house that he absolutely loved: its location. It was close to local amenities, and meant that Ben did a lot more walking and only needed one car for the whole family! Dennis Merrigan had always wanted to build his own home and he loved the county of Dorset. He says they got lucky when their plot came up at auction, as they didn’t have to exceed their agreed budget. 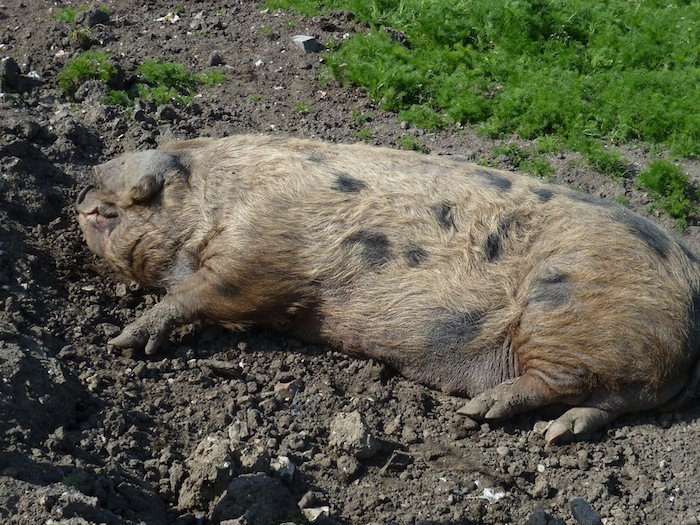 The neighbouring pub car park and pig farm may have put others off, but Dennis and Nicola are fond of the rare breed pigs and see the benefit of being close to the pub. 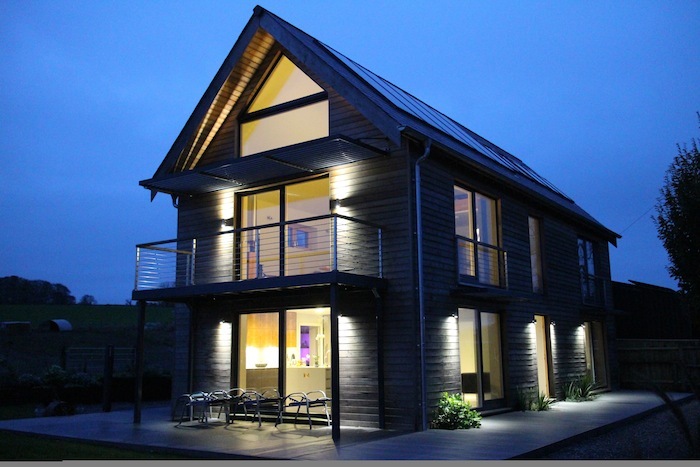 Nicola was initially overwhelmed by the build process and didn’t know what a Passivhaus was. The eco houses she had seen were on early episodes of Grand Designs, which normally showed “a sad looking woman putting sawdust down her composting toilet”! She was happy for Dennis to take the lead on the build but was adamant that she needed a flushing loo! Dennis tweaked the existing planning consent to slightly increase the size of the house, but the planners turned down their initial red brick and stone design, saying they wanted something more modern. Dennis felt that “passive was the way to go” anyway, and had architect Paul Mallion of Conker Conservation in mind. Keeping Nicola in the loop, they tweaked the design as they went, deciding on timber frame for the construction. The second planning application imposed a height restriction but Dennis actually thinks the house looks better for it. Dennis says they are lucky to get on very well with their neighbour. Together they solved some drainage problems for all concerned by using the neighbour’s suggestion of putting a sump on his land and building a drainage channel right through the Merrigan’s property. During the build Nicola and Dennis were mostly away working, which Nicola wouldn’t recommend, saying that being near to the site is really important. 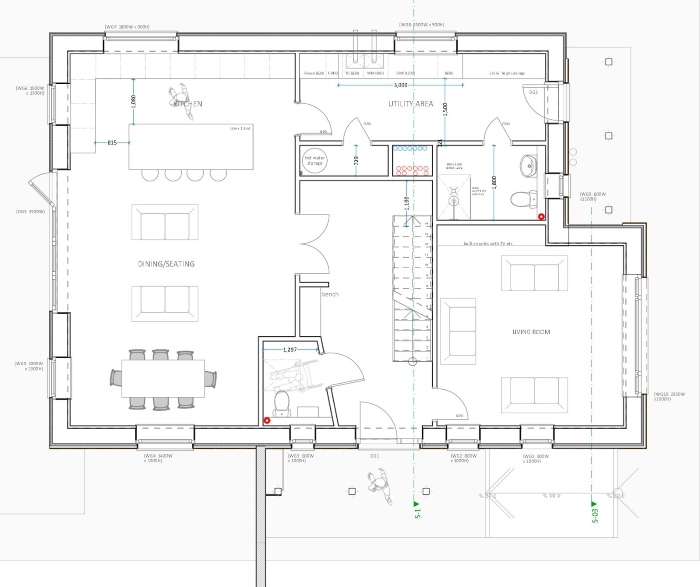 However, with many phone calls to discuss details, client, builder and architect managed a lot of the project remotely. It was the builder’s first Passivhaus but being quite technical, he could understand the premise behind it. While Dennis’ architect only visited the site once during the build, he was very helpful on the phone. Dennis advises getting the building team onside for the air test. He says, “We played a little game on site that if they got it first time, there’d be a little bonus. And they did get it first time.” He adds that the air test is also a great way of testing that they’ve built it properly. 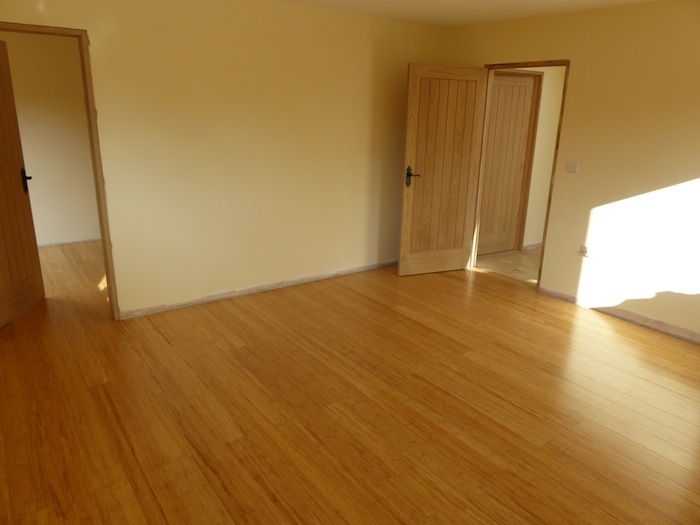 The biggest challenge on the project came when the timber frame company went into liquidation. They had paid 50% upfront to have the timber frame made to their specifications. 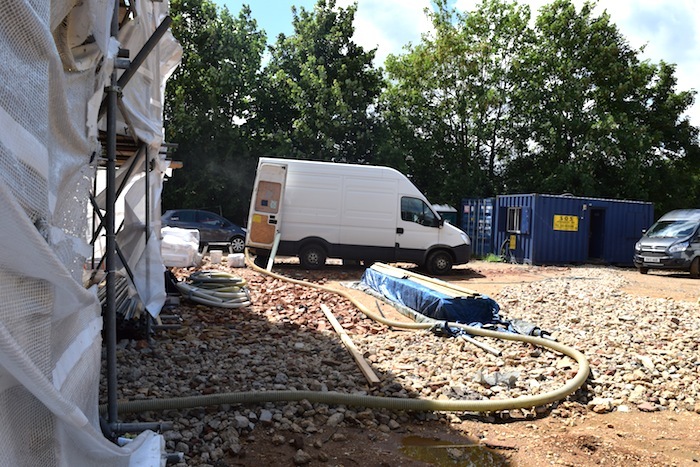 The contractor tried to minimise the damage by letting them take some of the materials and recommending another timber frame company. Good relations with the builder helped too, as he juggled his schedule. However, there was still a £20,000 deficit. Dennis’ tip to protect yourself against similar situations is to use a personal credit card for hefty deposits as that offers insurance. They ended up with a lovely, finished house but no money left for a kitchen. However, Nicola says, “The gods of building take away and then give back.” Dennis works as an independent surveyor with loss adjusters on fire and flood claims. A very high-end kitchen shop had had a flood in the basement, but had a kitchen upstairs which had been written off. They were able to buy it at a manageable price and, though not the kitchen they would have designed, are really pleased with it. Dennis says that finishing a property is all about detail. 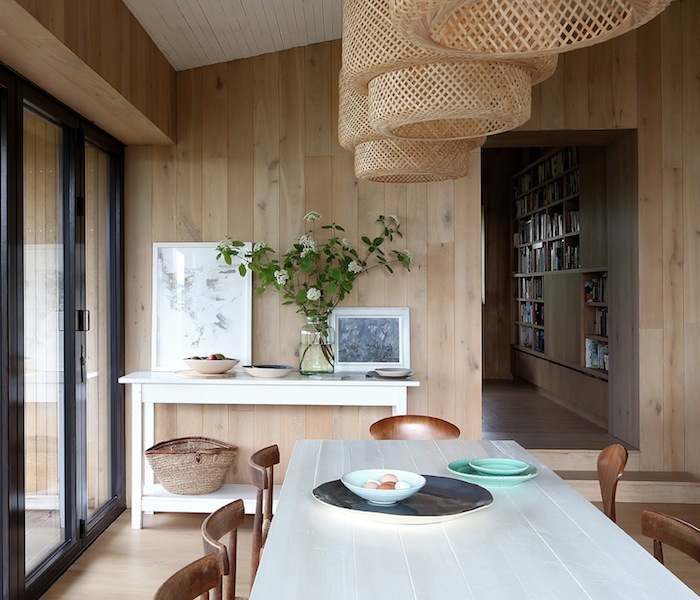 They have a good ventilation system but avoided ‘toys’, keeping things simple with timber floors upstairs and polished concrete floors downstairs. Details like aluminium guttering add refinement but nothing stands out on the roof. The solar PV panels are black and were built in. The solar thermal panels also ‘melt into the roof’, as they match the Fakro roof lights. (They also get the money back on the PV so they have a warm house and no bills.) Although told they wouldn’t need a log burner they put one in for looks. However, they are glad to have it to use occasionally when they haven’t been in the house for a while. Initial budgeting is hard and even Dennis’ builder wouldn’t work to a price having never done Passivhaus. Dennis agreed to pay the labour on a daily basis, so it was hard to stick to the budget. For example, the Fermacell is very heavy so took a lot longer and cost a lot more than plasterboard would have. Dennis admits that he made mistakes but they did have enough resources to finish the project. 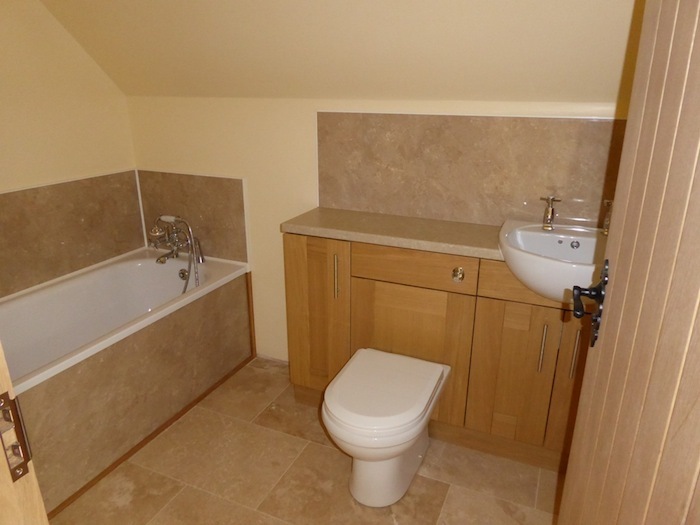 For example, they had to wait a little time but they did manage to get the kitchen. Nicola advises to not only budget for the house but also the surrounding area, something they didn’t do. Their neighbour came to their rescue again, doing the landscaping with his digger. Get your finances in place – they used the Ecology Building Society and couldn’t fault them; furthermore, have a contingency; money can be a big worry, so don’t start without the project fully resourced. Consider the form of contract; are you going to get somebody to do the whole thing or part-manage it yourself? Especially with a Passivhaus, decide all the detail before you start because you can’t change things easily; even moving the structure inside is very hard because of the ventilation system. 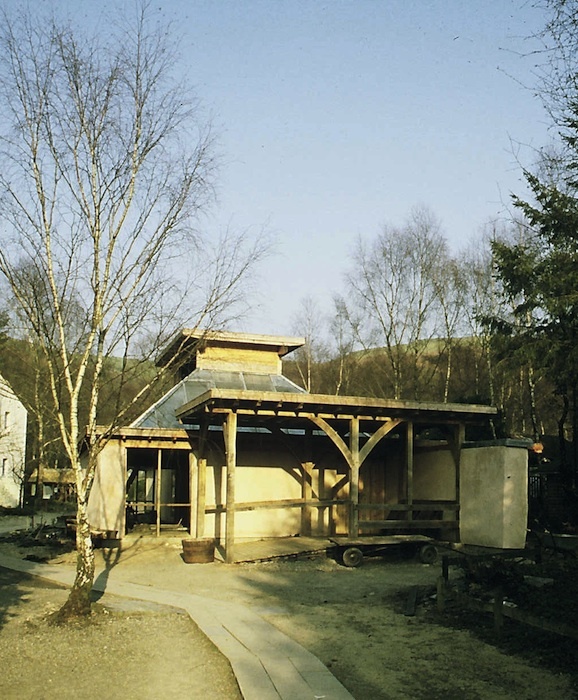 Architect and author Pat Borer shares insights from his teaching career at the Centre for Alternative Technology as well as what he's learned from his own practice (which has helped hundreds of self-builders). 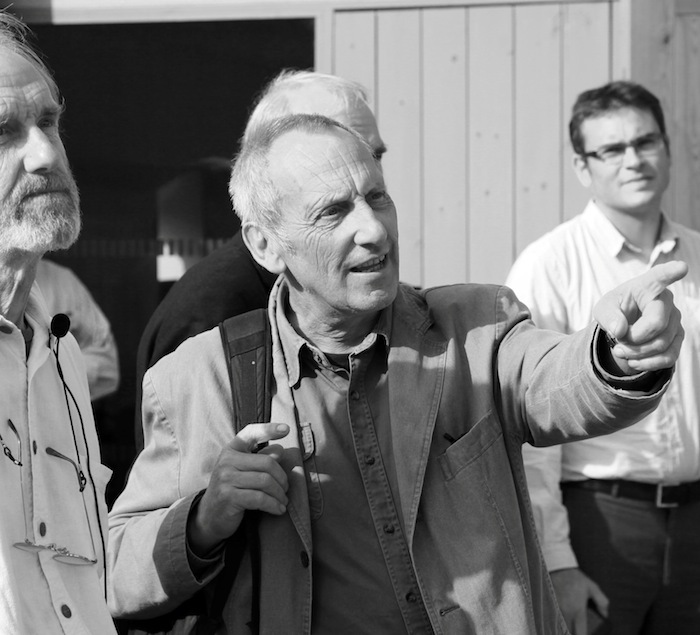 Pat Borer is an architect specialising in green architecture, mostly for self-builders. His work at the Centre for Alternative Technology (CAT) in Machynlleth began in 1976. CAT was founded in 1973 by Gerard Morgan-Grenville on the site of an old slate quarry in west Wales. He wanted to create an experimental village of the future to demonstrate there was an alternative to mainstream, industrialised civilisation, both technologically and socially. 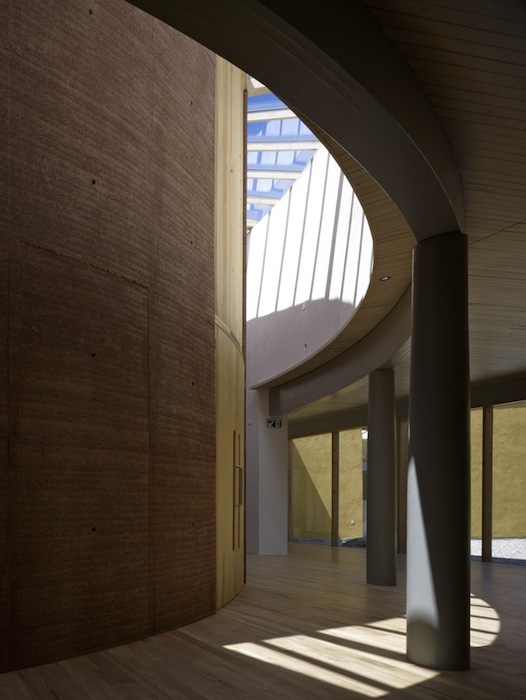 Demand to visit the centre in its stunning location meant it was soon opened to the public. The industrialised people of the world use eight times their “fair share”. The energy crisis of the 1970s prompted research into renewables by many, including CAT, although interest in renewable energy has developed hugely and is now generated on a national scale. In 1976, CAT built a super insulated house that used less energy than a passive house. Photovoltaic technology hasn’t changed much but the scale of manufacturing means the cost continues to drop. Similarly, the cost of generating electricity from wind turbines is now comparable with coal and even gas. 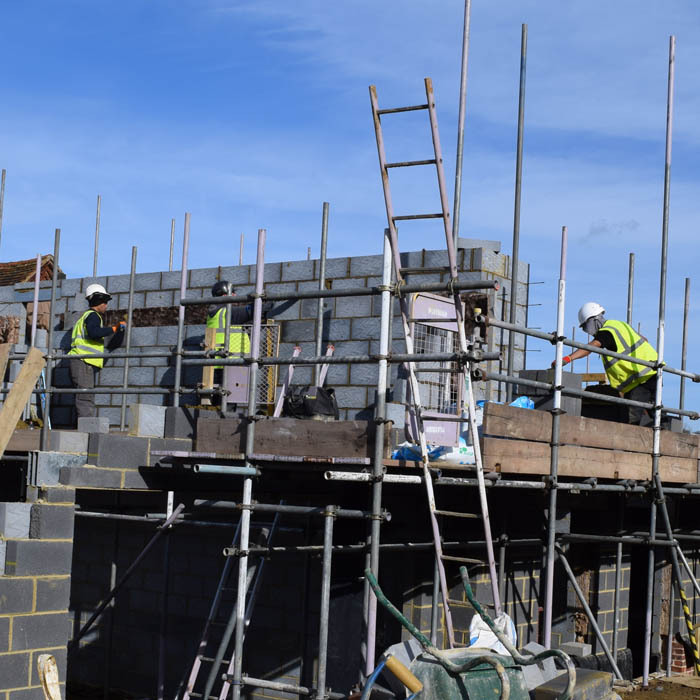 Pat comments that one reason the UK has such a big DIY market is because our houses are so badly designed and built that we have to do something about it. Unfortunately, by the time a typical development house is occupied it is difficult to rectify the corners that have been cut such as insufficient insulation. The philosophy behind all CAT buildings is low energy, including low embodied energy and materials. Visitors can sense the difference in these buildings because of the use of traditional materials such as wood, earth and lime. They say it smells and feels different, which feels good. CAT is known for its research and most recently their Zero Carbon Britain report prompted questions in parliament. Pat explains that to get to a zero-carbon state, we’ve got to make some serious changes like reducing flying and meat consumption. Masters courses in architecture, renewable energy, etc. 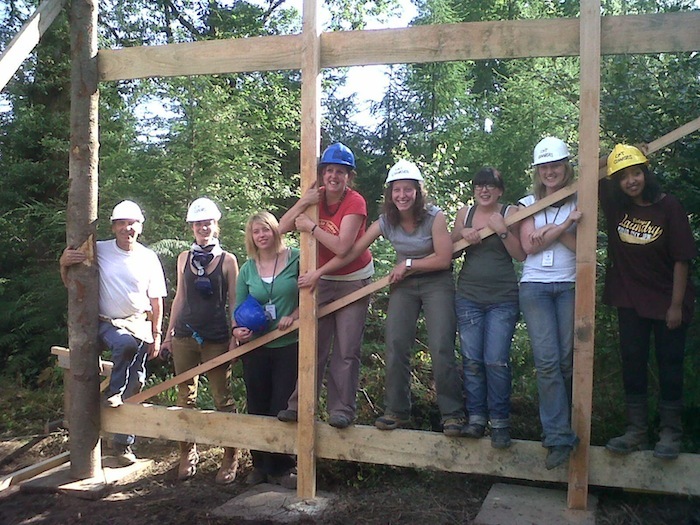 The five-day self-build course runs twice a year for groups of around 16 people, and covers a mixture of theory and practice. 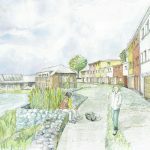 It includes talks on energy, materials, services, organising the site, planning and building regulations. The course encourages people to think beyond their intuitive design ideas and ask themselves what is sustainable. 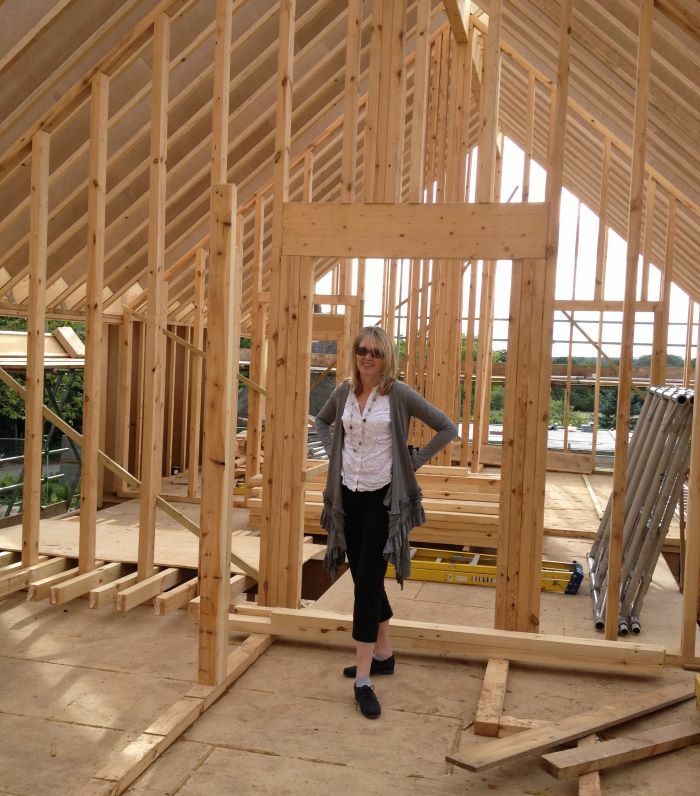 CAT only teaches timber frame construction to self-builders. There are various advantages: the techniques are relatively easy and timber is plentiful, durable, strong and easy to cut. Local timber has very low embodied energy and provides work for people in the countryside as well as good habitats for wildlife. 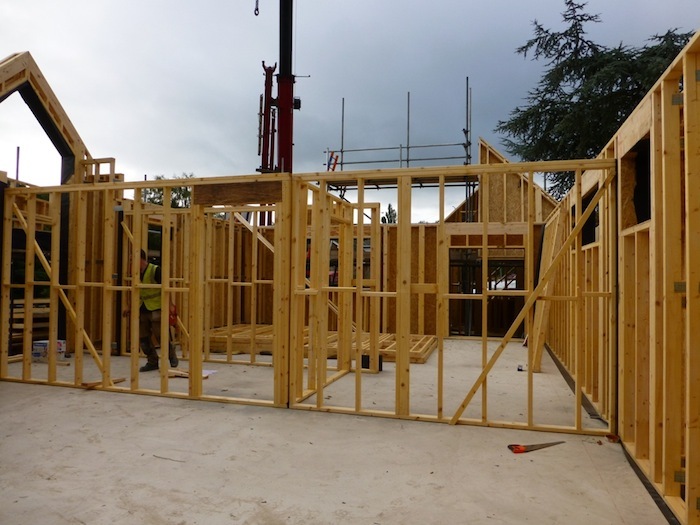 Timber frame construction helps self-builders gain confidence and Pat has seen many go on to tackle plastering and some plumbing and electrics. However, his tip for a successful project is to choose the technologies that suit you. If you’re good at brickwork then it’s okay to choose that; it’s a cheap way to build and can be suitable for low energy houses. The evidence for using breathable construction is very strong although it’s still not universally adopted, despite the well-known risk of condensation. CAT promotes the use of insulations made from recycled newsprint, cellulose, sheep’s wool, flax, hemp, and cork – rather than plastic foams. Sheep’s wool, for example, smells great, doesn’t itch and is easy to fit. Is green building always more expensive? Pat argues that although many sustainable materials can be more expensive, there are cost-effective options. For example, reusing materials is often cheaper. In other cases, for the same budget one might choose a superior and more environmentally friendly product, e.g. a locally grown hardwood floor rather than a “glued-up” laminate from Germany. Pat explains that the centre has survived on very little money but it’s never been uncomfortable, as practices such as car and food sharing have made it very cheap to live and work there. CAT tries to show that it’s not just the right thing to do, it’s an attractive way to live. Regarding climate change, Pat quotes David McKay, explaining we’re past the point where small changes by everyone are enough. We need to do more. CAT aims to show visitors that ecology is complex, with every little thing affecting every other thing, challenging them to really change their lifestyle with regard to energy. Beyond changing light bulbs and saving water are more demanding adjustments such as an electric car or sacrificing space or aesthetics for insulation. Pat says in the future the Industrial Revolution and its enormous fossil fuel use will be seen as a wrong turning. So we need to start correcting our course now, but building on what we’ve done. Jeremy Harris continues his story, sharing his experience of being a hands-on self-builder. 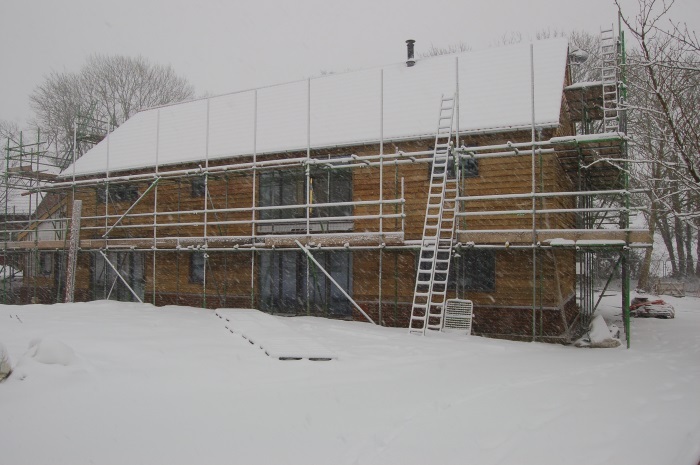 Jeremy chose a timber frame as he would be building in the autumn and wanted to get the house weather-tight quickly. 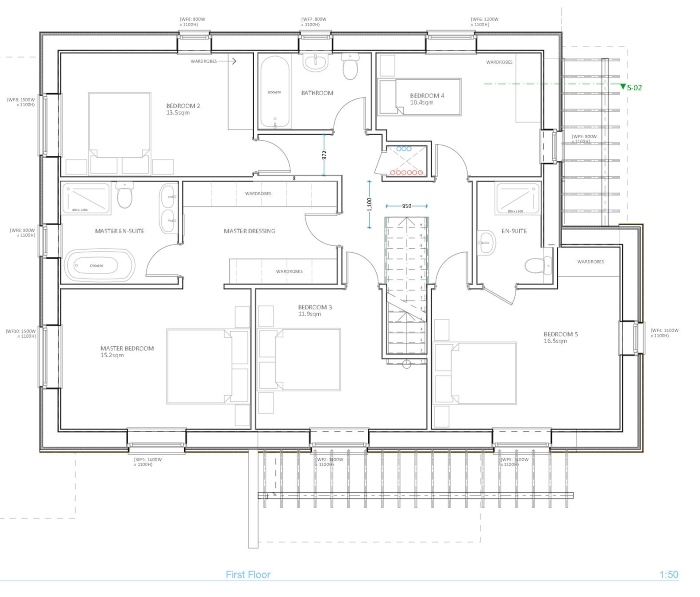 A planning application only requires an outline plan, which he was able to design in AutoCAD. 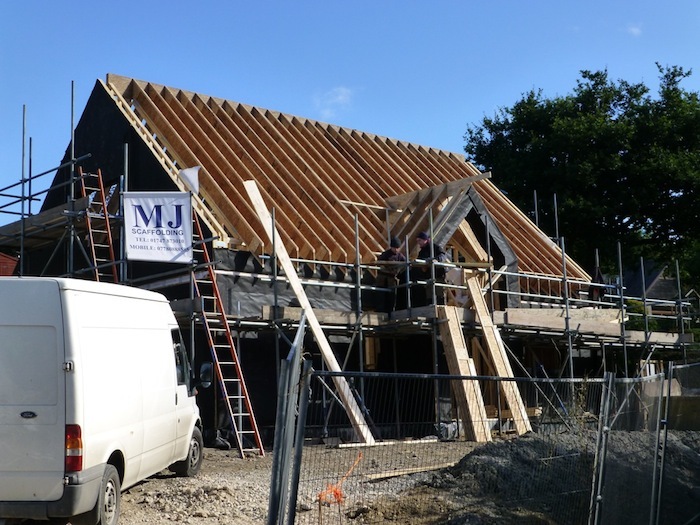 The timber frame contractor detailed the build using Jeremy’s plan, adjusting it slightly to fit their 400mm spacing system, showing all the joists and timbers. 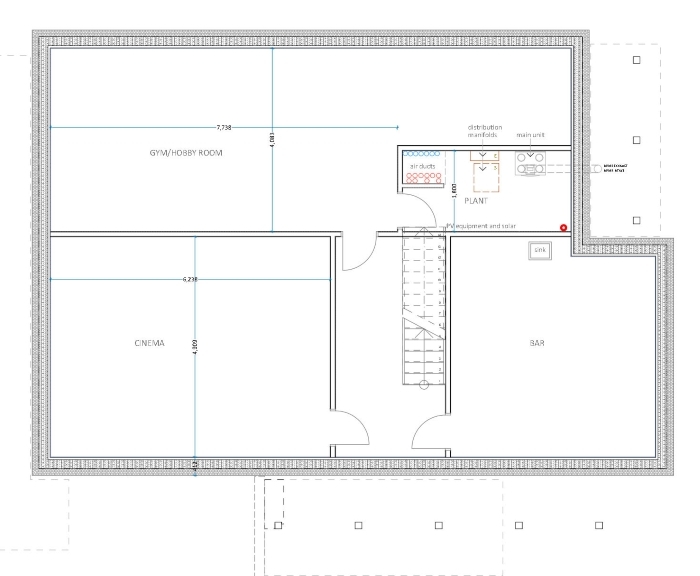 Jeremy prepared the building regulations application himself using those detailed CAD drawings, showing the structure of the house and how it would be built. 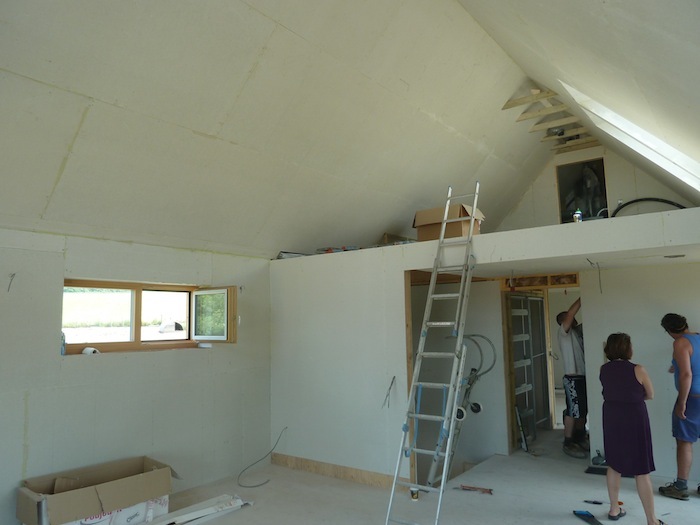 The timber frame contractor offered a package of an insulated foundation system and a frame of large prefabricated panels, delivering a weather-tight, insulated house with guaranteed Passivhaus standards of airtightness. The builder was prepared to have 20% of the total payment dependent on the building passing an air test (which it did, achieving 0.43 air changes per hour at 50 Pascals). 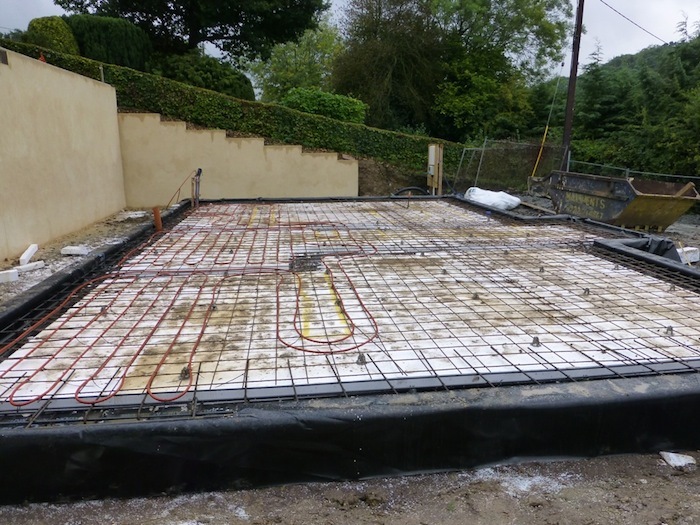 Jeremy employed a groundworks contractor to make sure the levels were right and the drainage systems were all put in correctly. This cost about £55,000 and took seven weeks to complete. 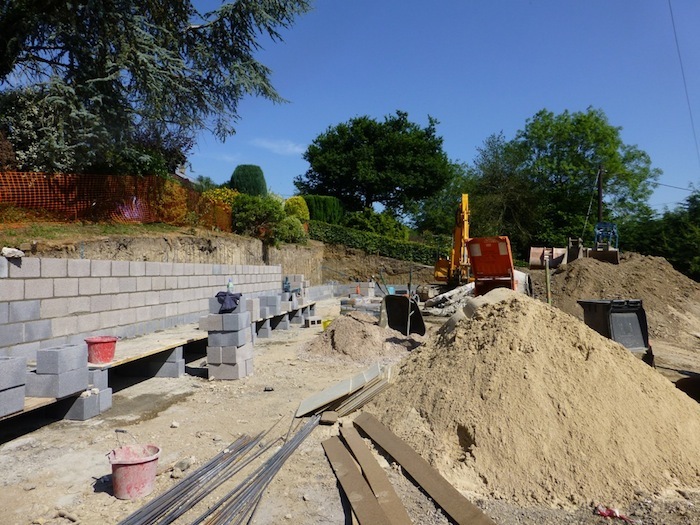 They had to remove about 900 tonnes of soil to get the site level, digging it out of the hillside and building a three metre high retaining wall almost a metre thick at the base to hold the ground back. 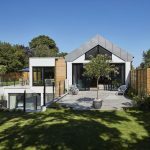 Although initially lacking the confidence to manage the whole project, once Jeremy had gone through the planning process, designed the house without an architect and become familiar with building regulations, he concluded he could project manage the build as well. 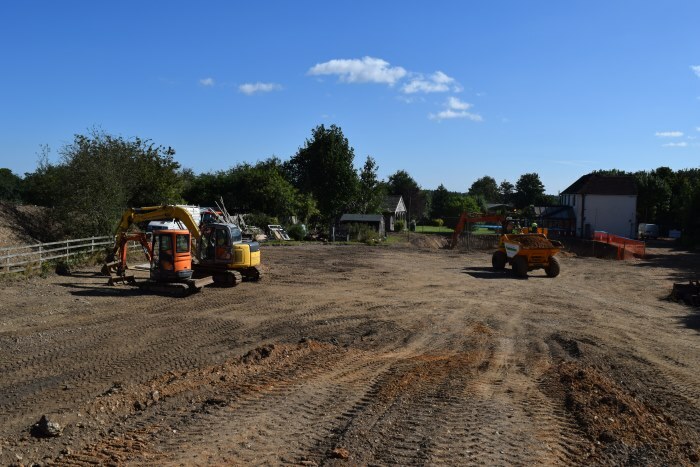 Jeremy gave the groundworks contractor complete control of the site, supplying a set of drawings and a specification. So the contractor project managed the groundworks stage. Once completed, site security transferred to Jeremy. The contract with the timber frame company for the house and garage clarified what they were responsible for, avoiding any arguments down the line. The price was about £65,000. The timber frame contractor needed the window supplier to install the windows before the building could be air tested, so Jeremy had to coordinate this. Jeremy then instructed a roofing company to use an approach commonly found in France, setting 25 solar panels straight onto the south side of the roof, so they were almost flush with the surrounding tiles. 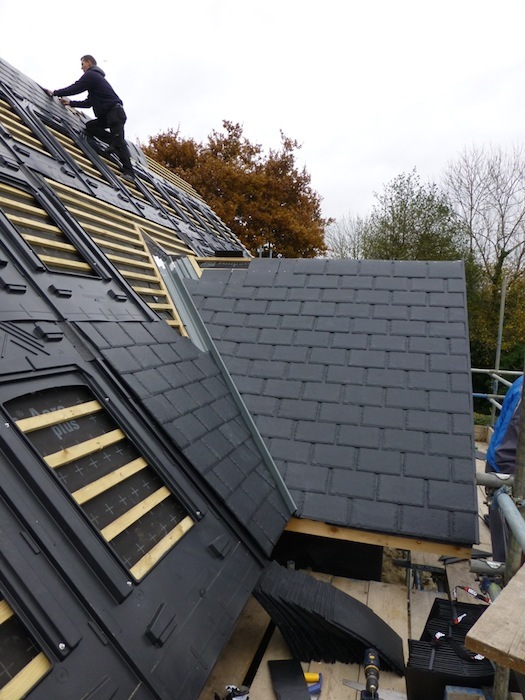 Although the tiles look like dark slate, they are made from recycled car tires and bin bags, are recyclable and met the conservation officer’s approval. Jeremy worked alone installing the plumbing and heating system, laying flooring, fitting curtains and cupboards and decorating. He admits this slowed the project down and recalls running from one end of the house to the other twenty times an hour to put in ventilation ducting on his own. With two people, it would have taken half an hour rather than three hours. He did get some help where he had to, working alongside an electrician as Jeremy wasn’t Part P certified. And a joiner hung the doors because they’re very heavy. Jeremy wasn’t afraid to do things differently and took advantage of emerging products. There are no foundations in the ground; they laid a passive foundation. 300mm of polystyrene insulation under the floor of the house sits on packed chippings straight on the ground. Reinforced concrete rafts were set into the polystyrene. A little pump circulates water through underfloor pipes so when one area of floor gets sun on it, the water carries the heat to other parts of the house without sun. The solar PV panels generate hot water using a new SunampPV system that stores heat in a tiny box about the size of a combi boiler and gives it off on demand. Build issues, notably the borehole, led to severe stress. 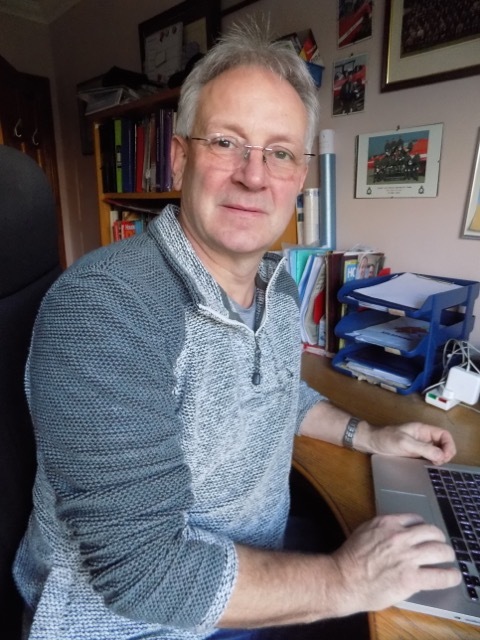 Jeremy says: “You realise that practically every self-builder comes to that stage in the build where it all just gets too much.” Online self-build forums gave him support, as well as ideas and information. Solar gain caused the building to overheat resulting in wasteful cooling measures PHPP didn’t factor in the microclimate (sheltered valley); heat loss was overestimated and insufficient shading was planned to offset overheating Films added to the glazing on the south side to reflect heat. 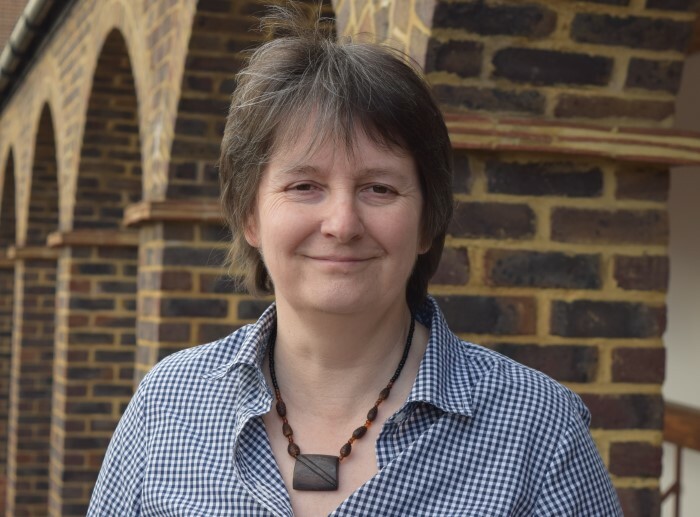 Architect Janet Cotterell explains why her Buckinghamshire Passivhaus clients changed their minds about refurbishing, and have instead opted to demolish and rebuild. We spoke with Janet in podcast episode 121 about the kit and system methods of building a Passivhaus. 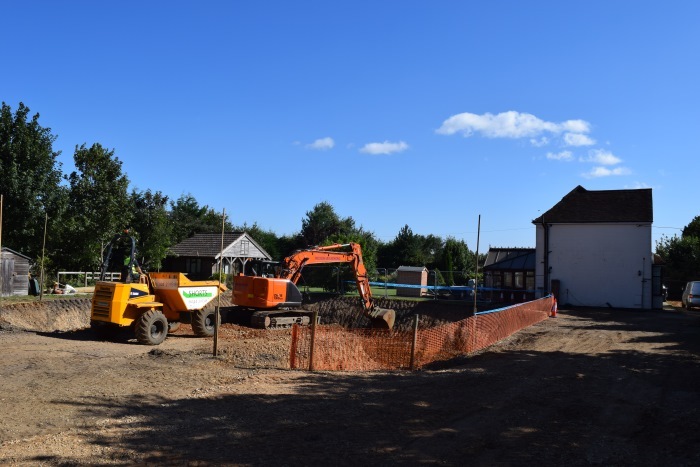 One of her latest projects, Buckinghamshire Passivhaus, uses the PH15 system that she has been developing, and we are following its progress in The Hub. 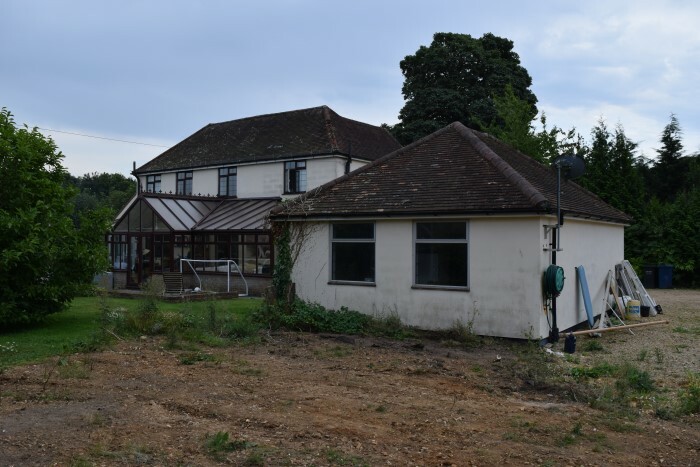 We have taken the opportunity to find out more about the scheme and understand why her clients have decided to knock down the house that they had originally intended to refurbish, and instead build from scratch. Janet explains that the existing dwelling is not particularly attractive, but it is on a very attractive site of around an acre. 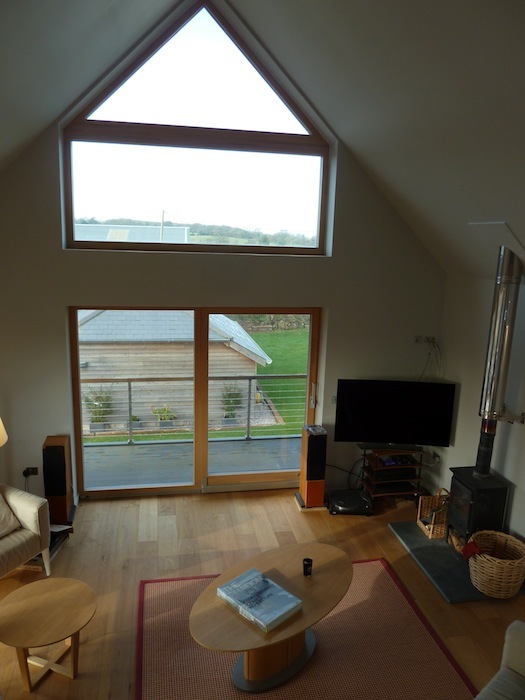 Her clients originally wanted to retrofit the property to the full Passivhaus standard, so this formed the basis of the first scheme that Janet produced. This initial study looked at how they could adapt it and give them the accommodation that they required. 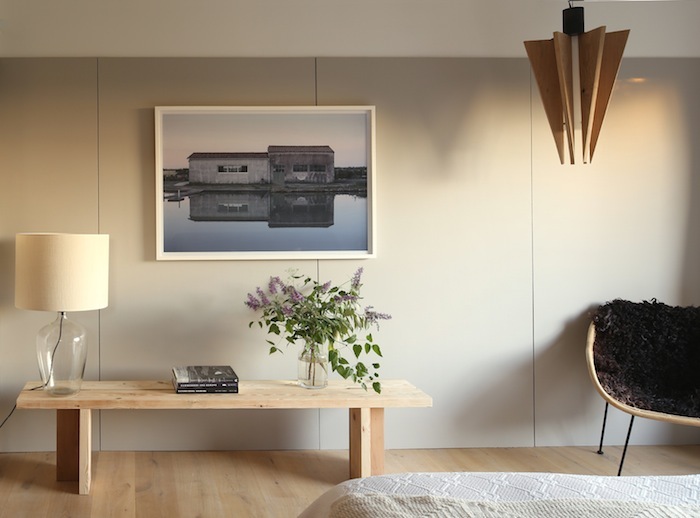 While the accommodation element worked for them, they realised that the complexities of dealing with the existing fabric meant that costs could be better controlled and without the need to make any compromises if they decided to build a new house instead. Another contributing factor in the decision was that being a new build they would be able to claim back the 20% VAT – a considerable economic benefit over a refurbishment. 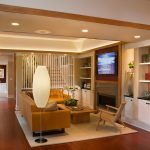 While the clients had firm ideas about the accommodation they wanted inside the house, they were happy to leave much of the aesthetics and external design to Janet. 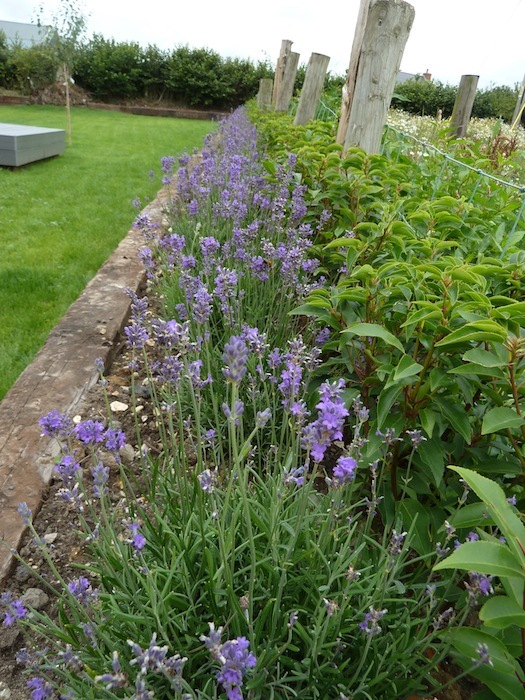 She has focussed on maximising the best features of the plot by making the most of the sun and the beautiful views. The house will be built in the centre of the plot to maximise the views, and divide the space up to create different sections which will each be treated slightly differently. The design incorporates a long brick wall leading to the house which creates the separation of public and private spaces, and will give a courtyard type feel. 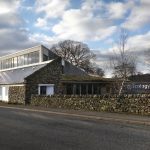 The external finishes of the house are determined largely by the local council design guide, but Janet was also happy to take on the challenge of creating a Passivhaus which still has the look of a traditional UK home. 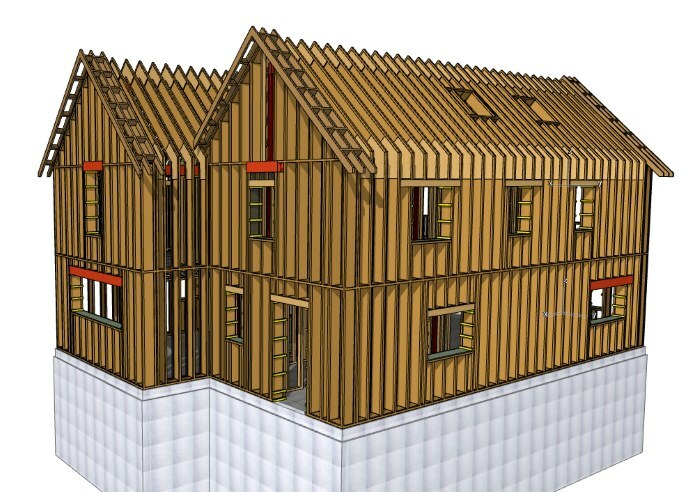 The aim of Passivhaus Homes is to create a timber frame, Passivhaus compliant, solution, with details that can be passed on to other people. They have created a package of details which they have been tweaking as they go, and believe they are now at the point where most of it is working successfully. Their intention is that if you were to use their timber frame system, and built it in a certain way, the thermal bridge details would already be proved to work. By making this simplification and having standard details already done, it should save considerable money for the client. The timber frame will arrive as a puzzle of pieces! 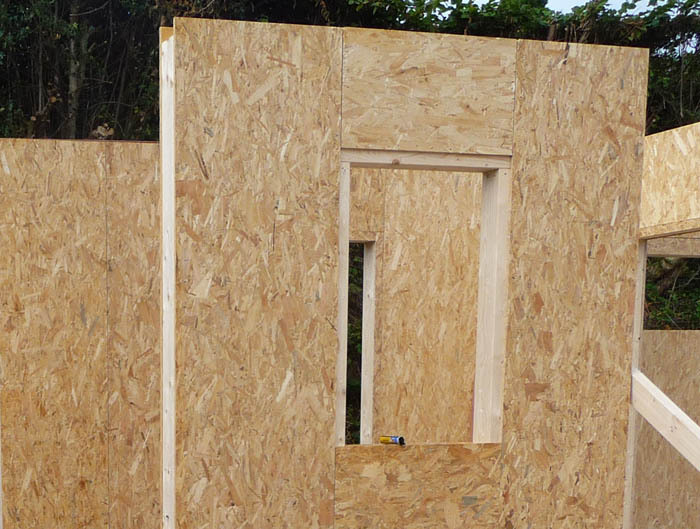 The pieces are being cut off-site by Passivhaus Homes and then delivered to be assembled by contractors at the plot. 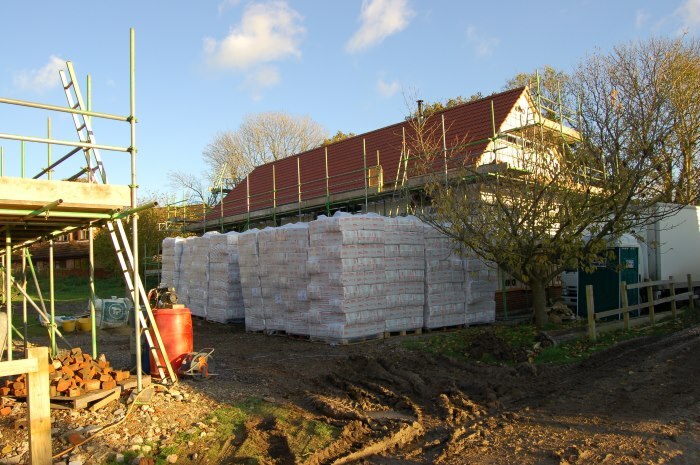 For Buckinghamshire Passivhaus there are likely to be around 500-600 pieces. The cutting machine they use is able to work out the most economical way of cutting all the pieces with the least amount of waste possible. However, rather than delivering a pile of pieces in one go, they also need to work out a system of delivering them to the builder so they can be unpacked in an order which will make sense, and only need to be unpacked when required. While this does end up creating a little more waste, it is still considerably less than the amount that would usually be generated on site. And with the waste being created at the factory, they are able to ensure it is properly recycled. We'll be returning to speak to Janet about how the build is going, but you can also follow its progress in The Hub with regular video updates. The orange colour are LVL’s (laminated veneered lumber) which are structurally quite strong, so are used for larger beams. The orange is a coating they put on to give a bit more moisture protection to avoid swelling on site should the contractor allow them to get saturated! The blue is a special insulated triangular lintel which is made up (and delivered ready made to site) to allow the windows to sit right up against the eaves without creating a terrible thermal bridge. Download a transcript of the interview with Janet Cotterell. If you're a Hub member you can watch the videos of the build as progress continues. If you're not yet a Hub member and would like to find out more information, you can watch our short video which explains what it's all about. Here at Regen Media we recently produced a video for Architype, who wanted to create a training / induction aid to help newcomers understand what Passivhaus at Wilkinson School is all about. A big thank you to the four young stars of the piece who we think you'll agree explain Passivhaus brilliantly! 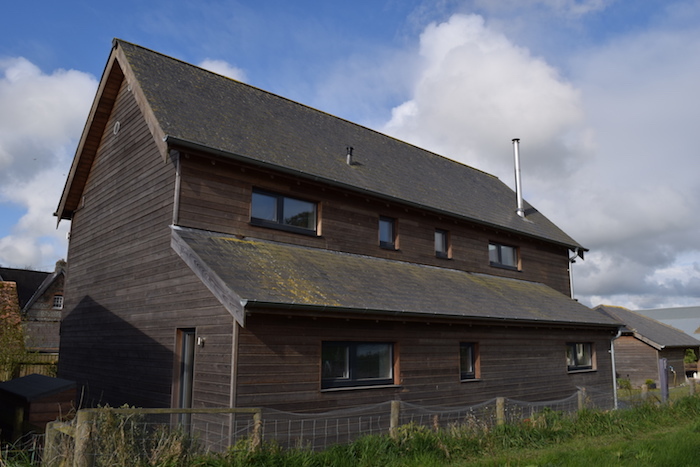 Planning consultant Lisa Jackson talks us through her Fox Barn Passivhaus self build project. 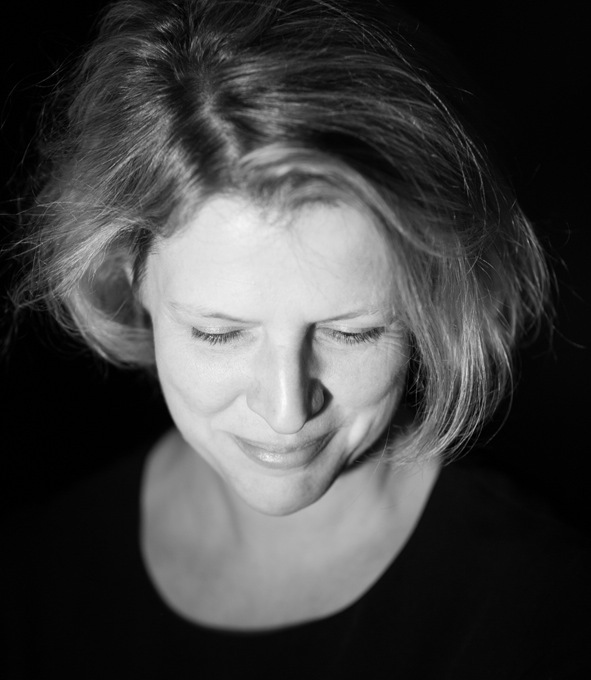 Lisa has been running her planning consultancy business for the last 7 years. She also trained as an assessor for the Code for Sustainable Homes, which is what started her interest in energy efficiency and thinking about building in a different way. 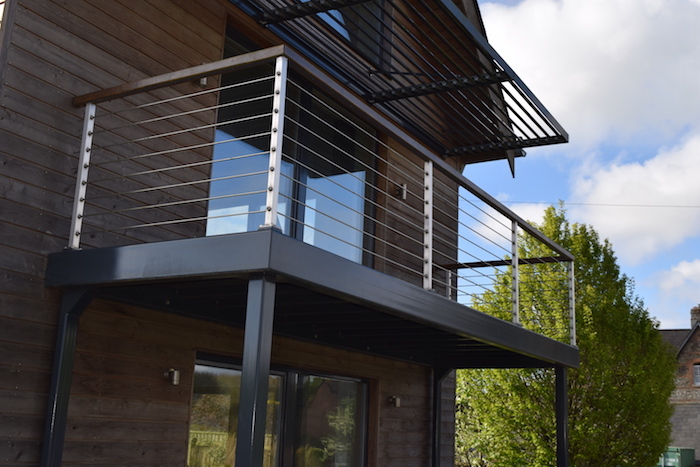 Her husband has a background in construction and is a town planner, so their combined skills in sustainability, construction and planning, all proved invaluable when it came to taking on their own self build project. Originally Lisa and her husband had bought the house next door as a DIY project. It was the worst house in the village and they realised they couldn't afford to develop it the way they hoped, but it was on a really good plot. So they approached their neighbour who agreed to sell half of his plot for them to build their house. Lisa and her husband owned the access and the neighbour owned the frontage. After getting the plot professionally valued via the RICS Red Book it was determined to be a 50/50 split. They came to a formal arrangement, whereby should planning permission be granted the neighbour would give them the option to purchase the land. 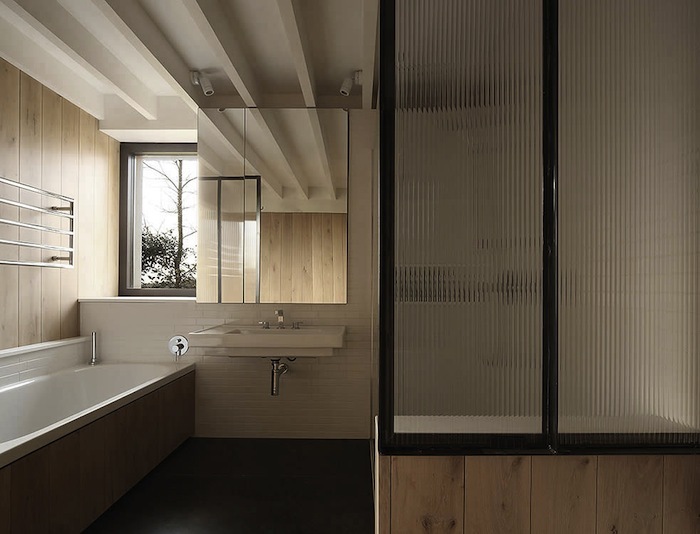 The house needed to be relatively low key and contextual in terms of design, as it was an infill plot between a thatched cottage and a one and a half storey bungalow, and was replacing a single storey agricultural barn style of building. 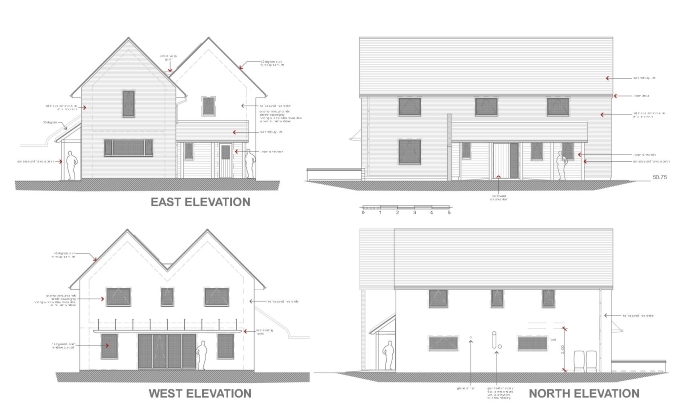 They achieved planning consent for a 4-bedroom house. However, after more research, Lisa and her husband decided they wanted to build to Passivhaus standard. 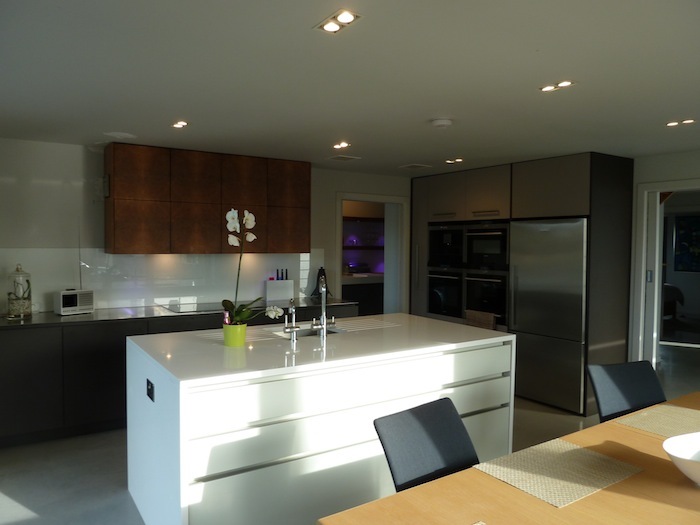 With the help of timber frame specialists Touchwood Homes they were able to adapt the designs relatively easily. They worked on increasing the insulation and reducing the amount of glazing on the north elevation. They then submitted a section 73 application with the changes and were issued with a new consent. Lisa points out that if you're looking to buy a plot of land which has already been granted planning consent, you shouldn't feel coerced into using that design. She says that there's every opportunity, if it stays within the constraints, to make changes using the section 73 application for the interior and even some of the external features. This is advice that Lisa gives to her clients. She suggests looking at all the guidance (in terms of conservation areas, village design statements and character studies) and making sure that your application is policy compliant. She thinks it can be easy to get carried away with designing the house that you desperately want to build, but if it doesn't pay any regard to its context then the application is likely to fail. From her own experience as a planning officer, Lisa advises careful consideration of how drawings are presented in the planning application. She often found CAD drawings to not fully reflect how the building would look, have little light and shade, and no feeling of the materials. In comparison, hand drawings would often bring it to life more effectively. People want certification if they're buying a house without radiators! 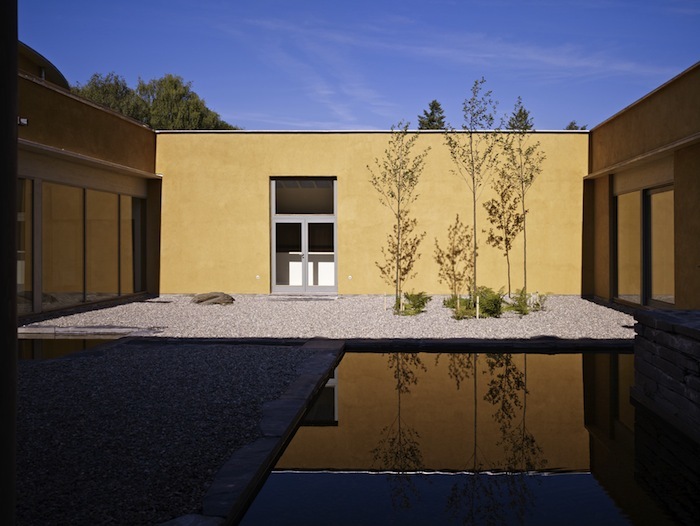 Lisa's decision to go for Passivhaus certification was partly based on being a sensible business decision to enable her to persuade clients to go for certification. Having the certification also helps with the re-sale, because it demonstrates to potential purchasers that while it may not yet be the conventional approach, it actually does work. After selling their old home to release equity to finance the project, they decided to rent a nearby house. Lisa fully recommends that anyone doing their own self build. During the construction Lisa's husband was diagnosed and treated for cancer. 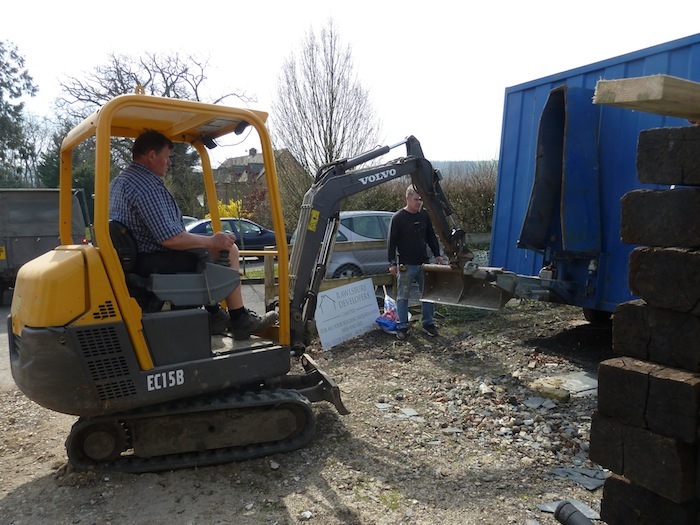 As Lisa says, the silver lining was that he was able to spend his recovery period on site project managing the build, which actually aided his recovery and gave her the time to concentrate on running her business. 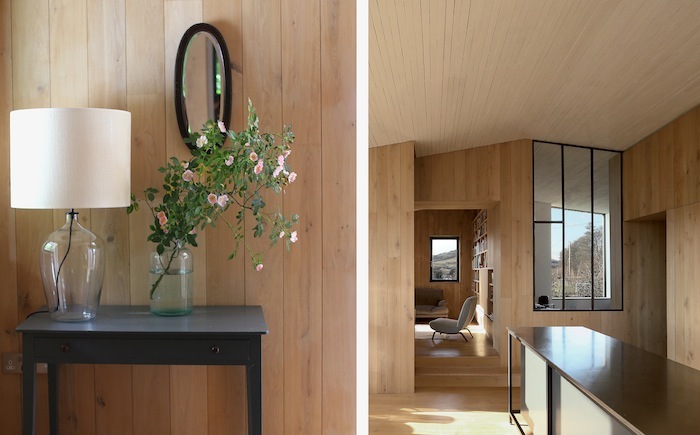 The house was made from Touchwood Homes' ‘light and tight' timber frame which was pre-cut off-site, and insulated with Warmcel recycled newspaper. They used a local team of tradespeople who they were very pleased with, but still found that they ended up doing some of the work themselves where certain jobs fell between skills and there was no one else to do it. During the winter of 2011 they realised that there was a gap in their finances of £60,000. 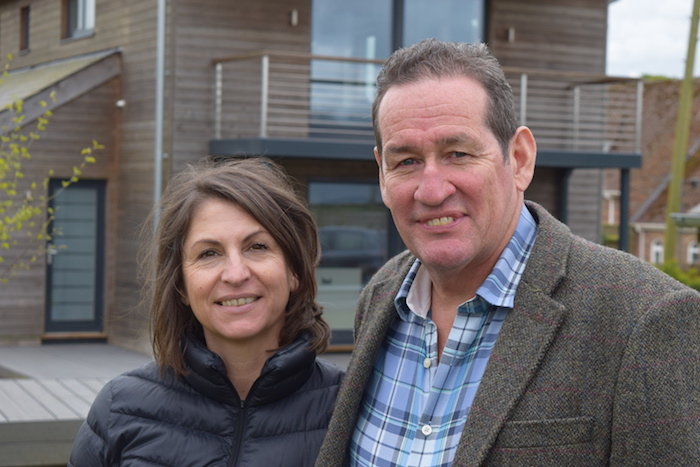 They managed to borrow some of the money from a relative, but also had to extend their mortgage – a process which Lisa says was made more difficult by the providers' lack of knowledge about what's involved in the self build process. She does however credit her mortgage broker with being a huge help and making a big difference. When they moved in 3 years ago it still felt like a building site, but completing the landscaping after the first year made a huge difference. Also, creating happy memories in the house turns it more into a home. Lisa recommends taking good professional advice where possible and she suggests that if you're looking for a good planning consultant go through the Royal Town Planning Institute or look at the Planning Portal to see who's managed to get planning permissions in your area. She also feels in hindsight they should have employed the services of a lighting designer, as they slightly over-specified on lighting. Above all she thinks you need to be brave and prepared to put in the hard work. She says her husband thinks it took him a couple of years to really recover from the whole experience, however he is already talking about the next one! Download a transcript of the interview with Lisa Jackson. The National Self Build and Renovation Centre are holding their summer show on June 17th to 19th. There will be exhibitors, seminars and a variety of experts and self builders taking part, including Ben Adam-Smith! Ben will be talking at 1pm on Friday 17th June about the Passivhaus standard. 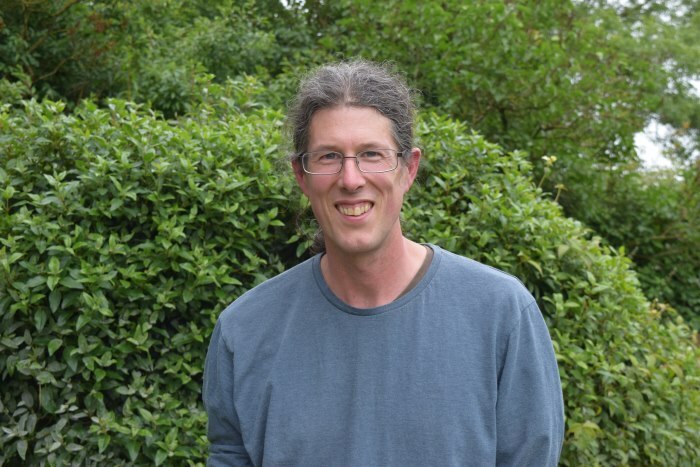 Throughout his time on this podcast he has visited over 30 certified Passivhauses and is keen to share the experiences and advice he has been given along the way. Following Ben's talk there will also be a meet-up for Hub members, so he's looking forward to seeing you there!